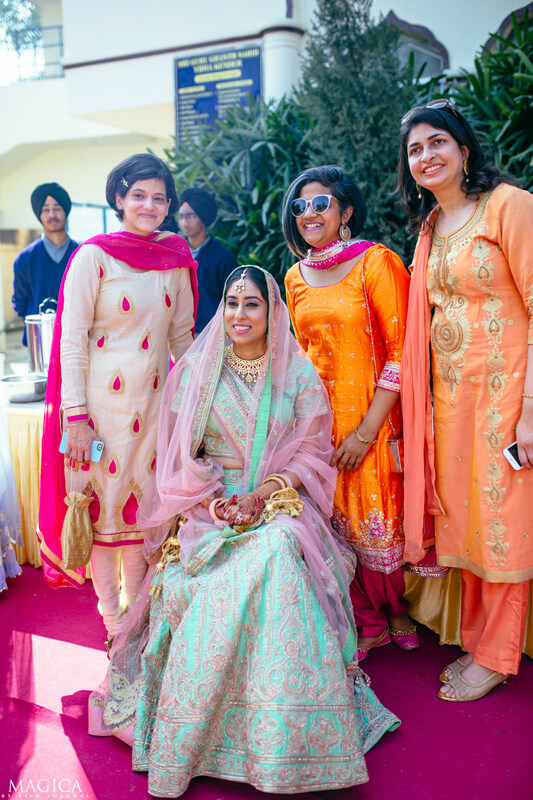 Who says the group photos can’t tell a story? 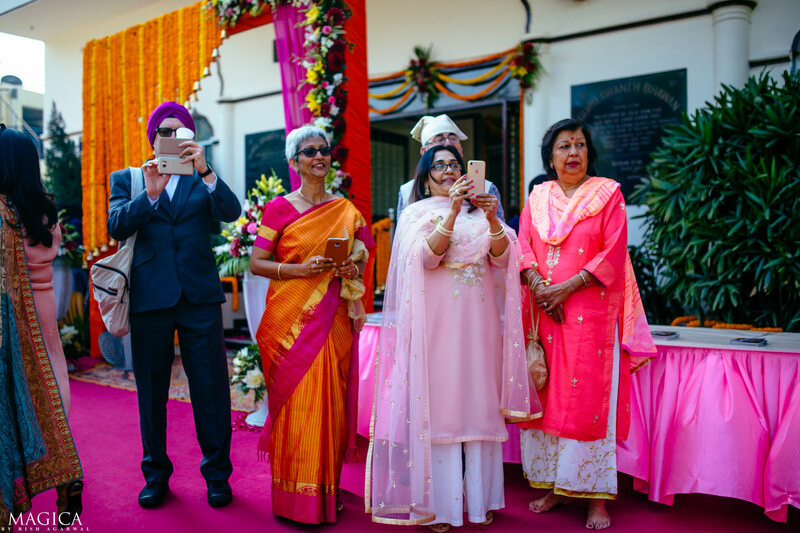 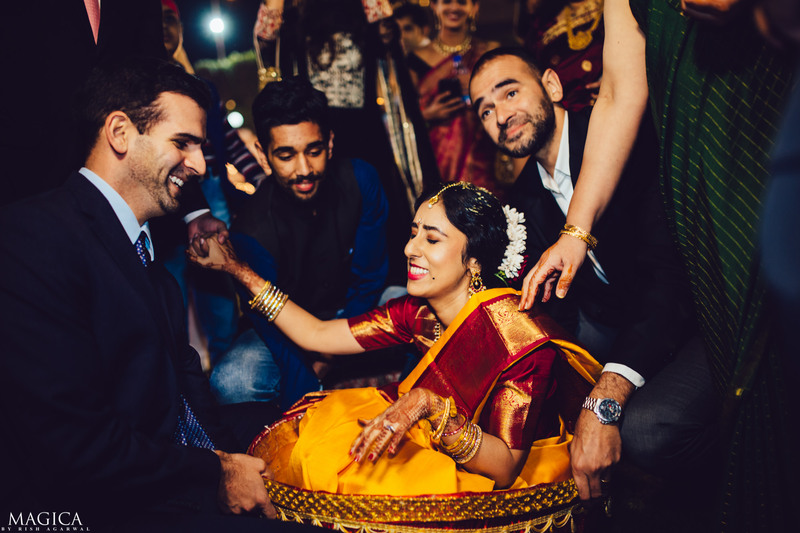 The two photos here gets together people from extreme ends of our country, coming together to celebrate love! 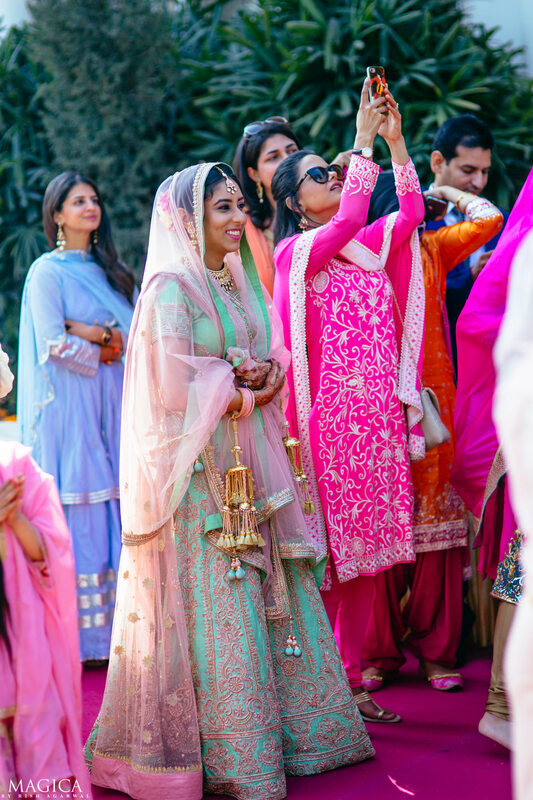 All eyes and cameras up! 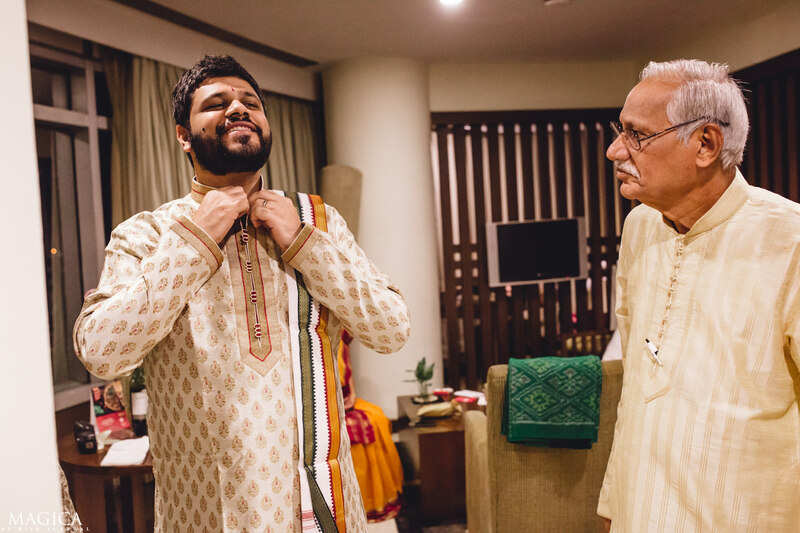 But look who’s here too? 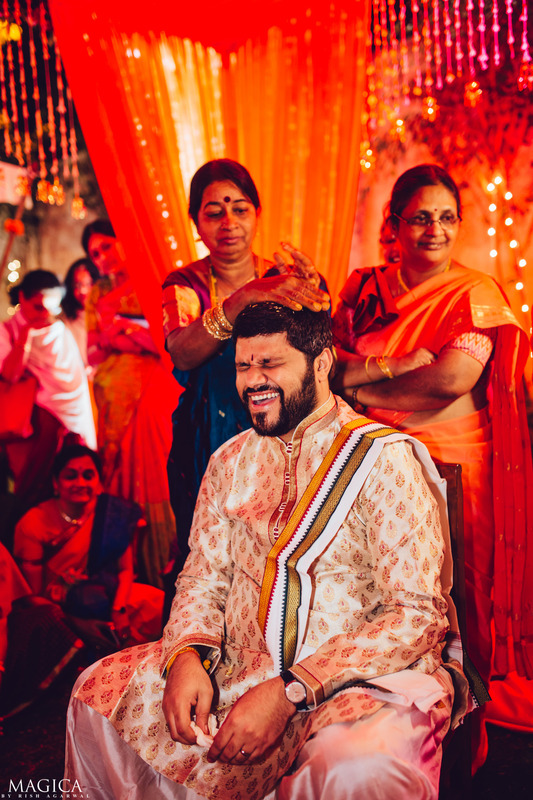 Oh, our very own Rahul in a new avatar! 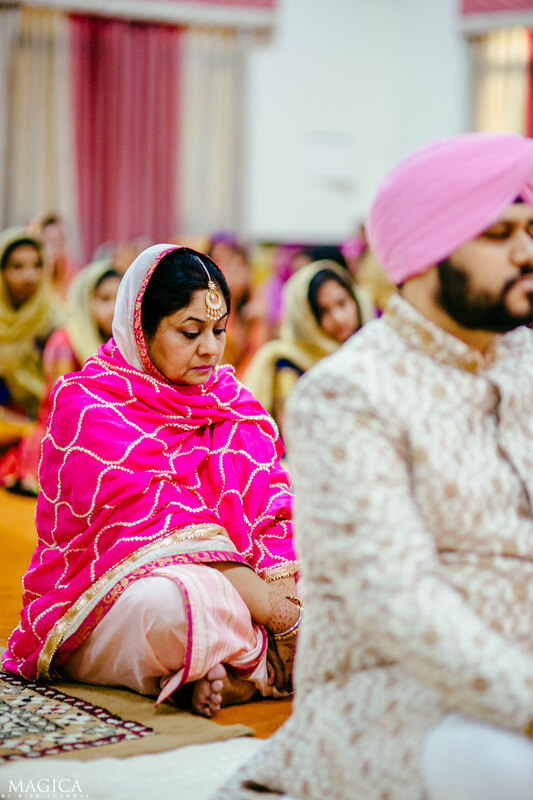 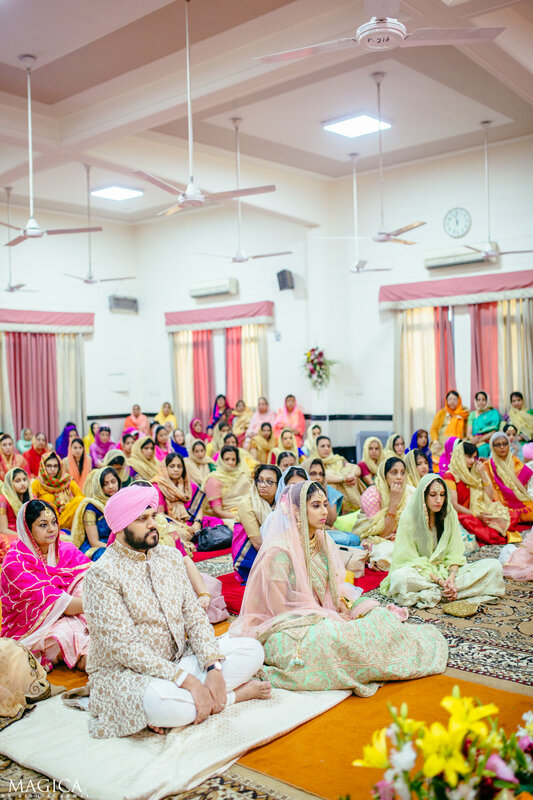 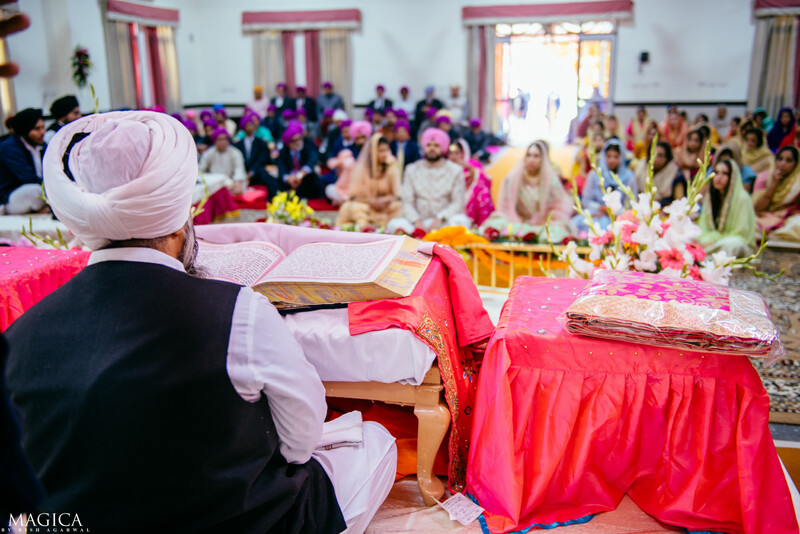 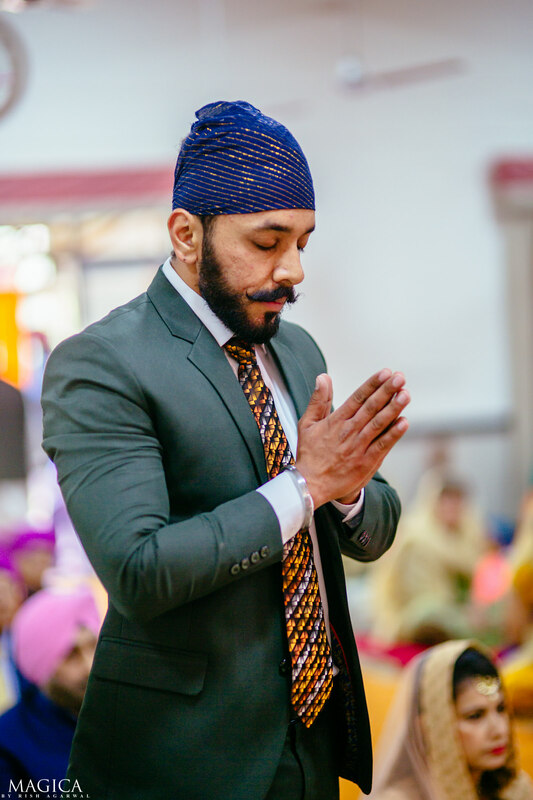 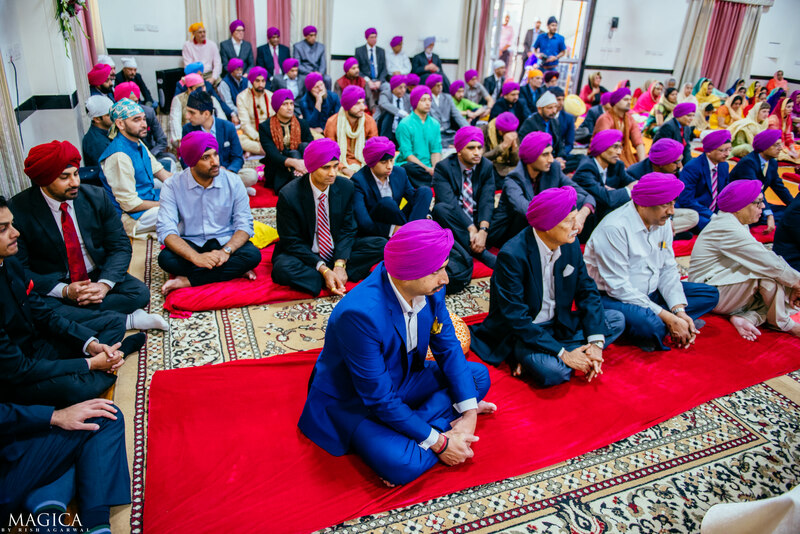 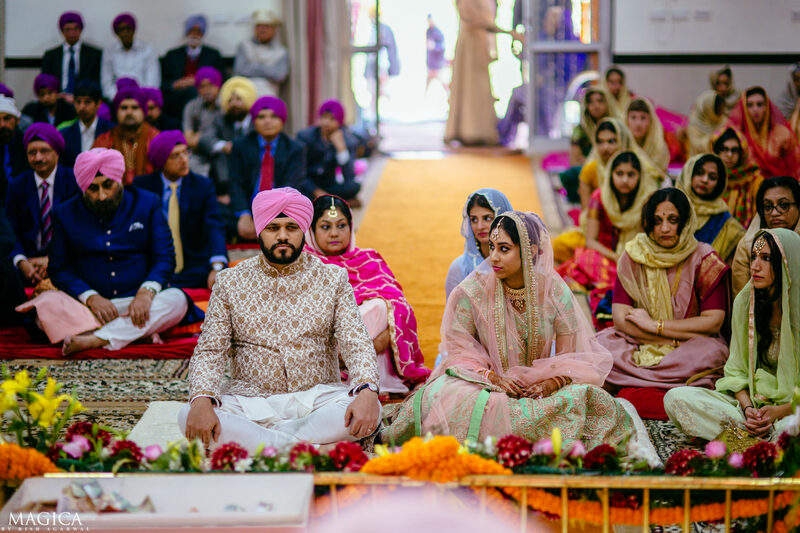 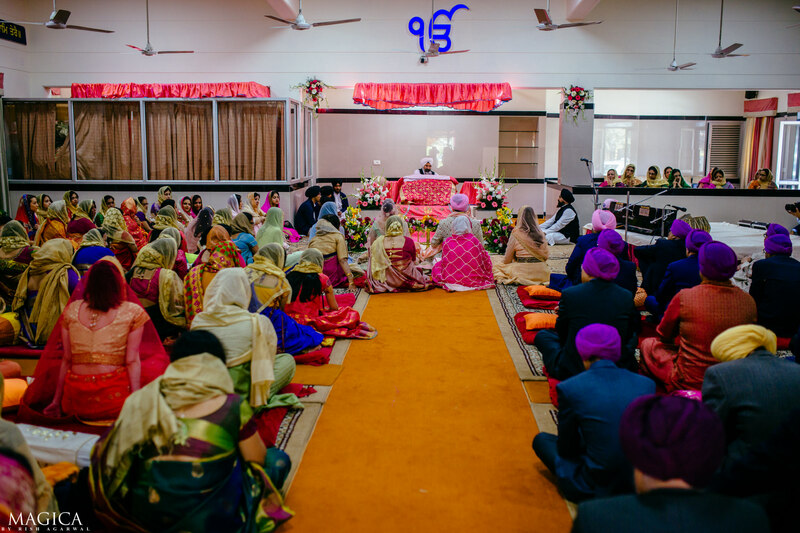 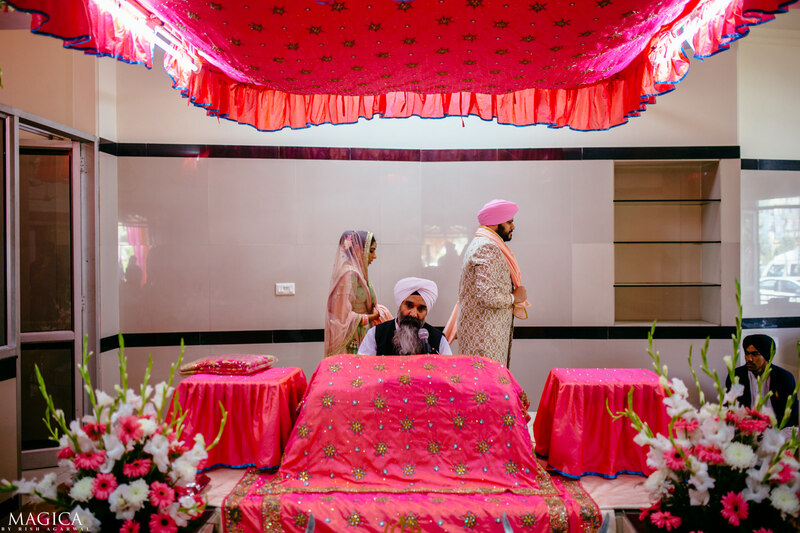 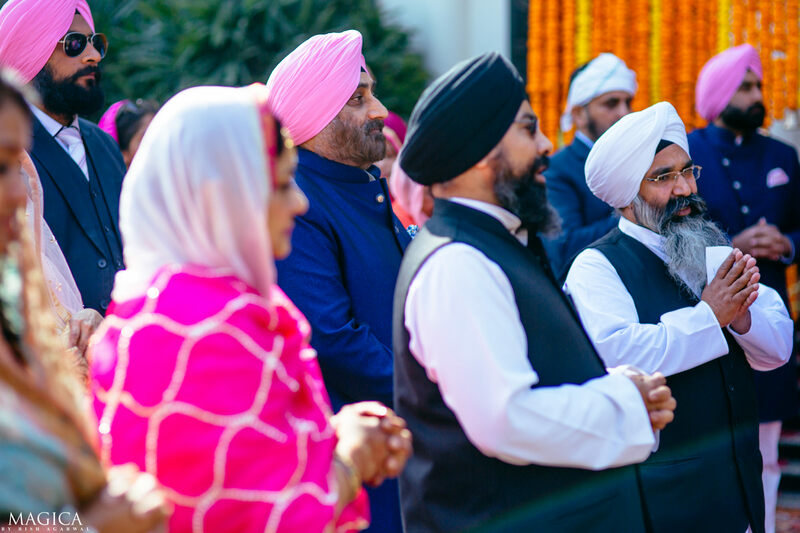 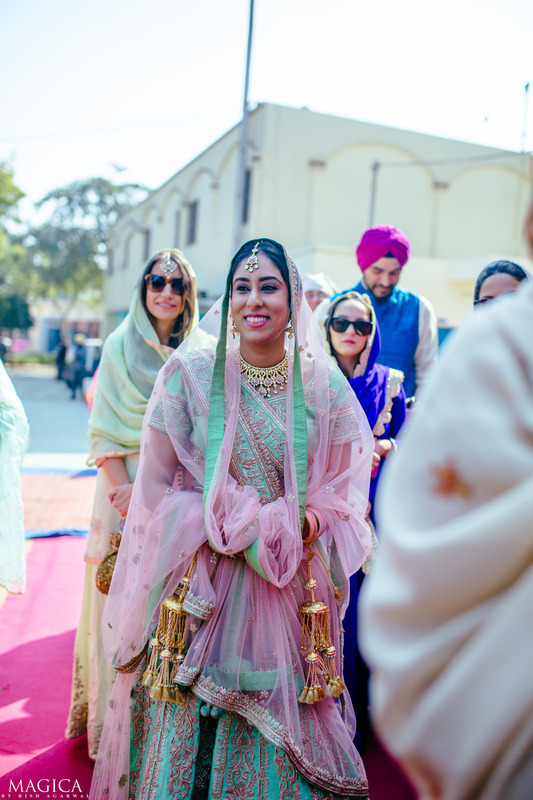 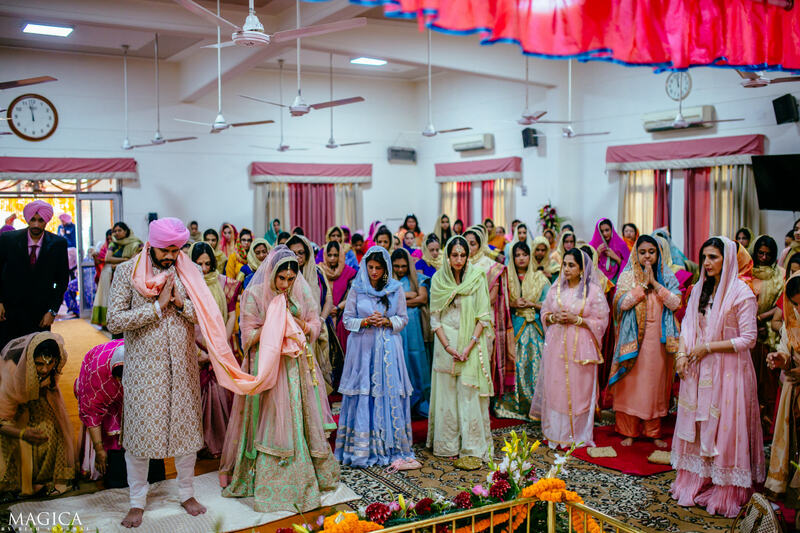 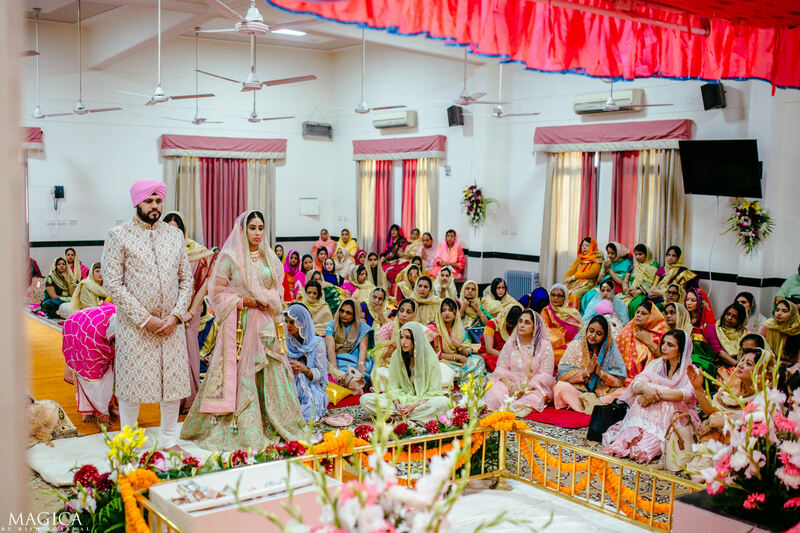 And that was the Anand Karaj ceremony. 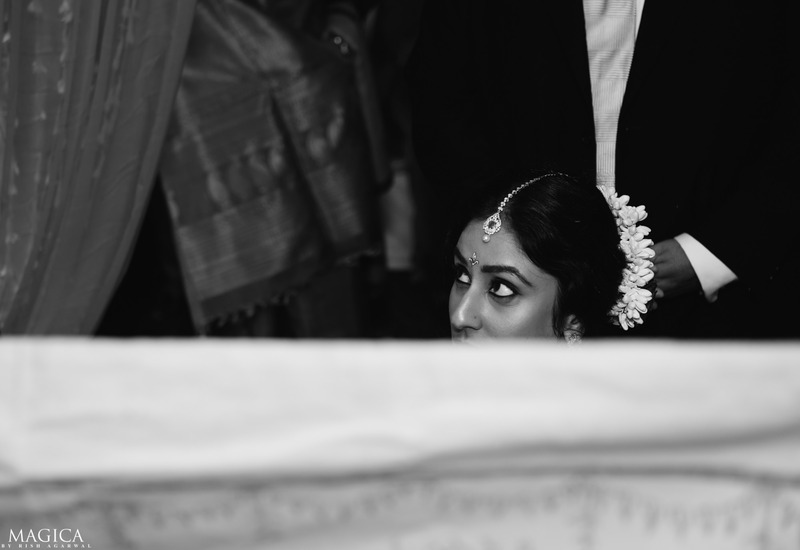 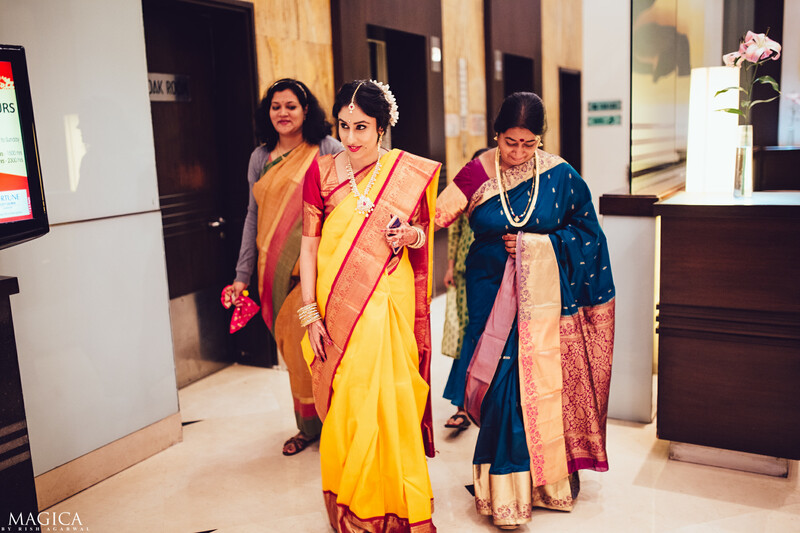 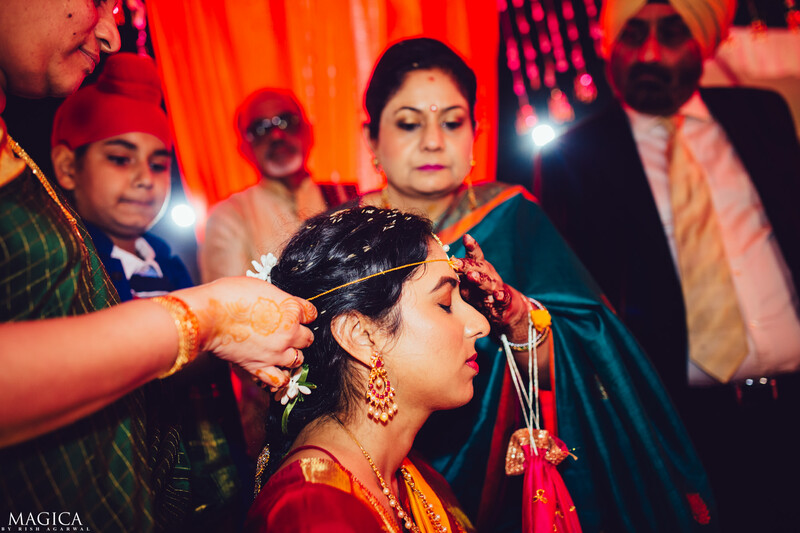 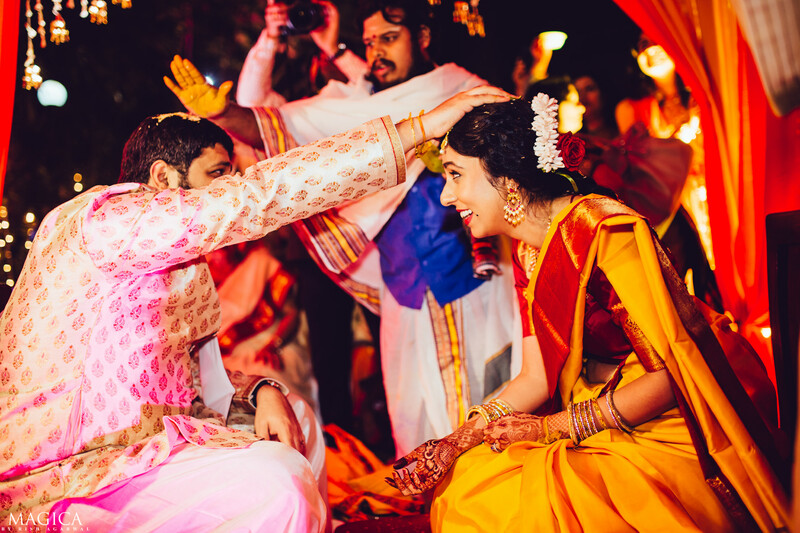 And Puneet was about to become a beautiful Telugu bride in the evening! 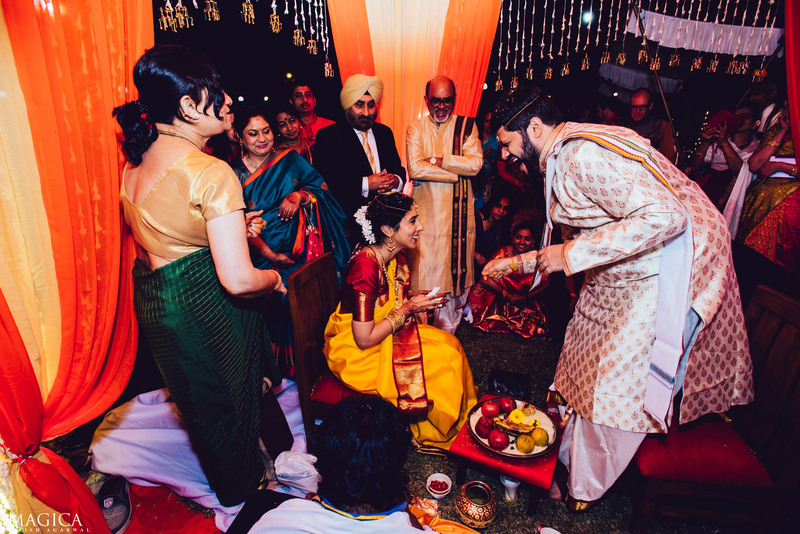 Puneet suprizing everyone with her saree charm! 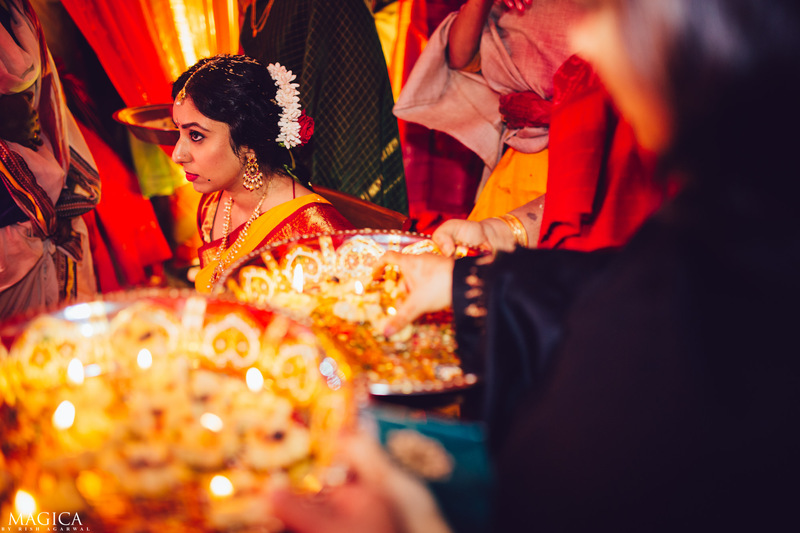 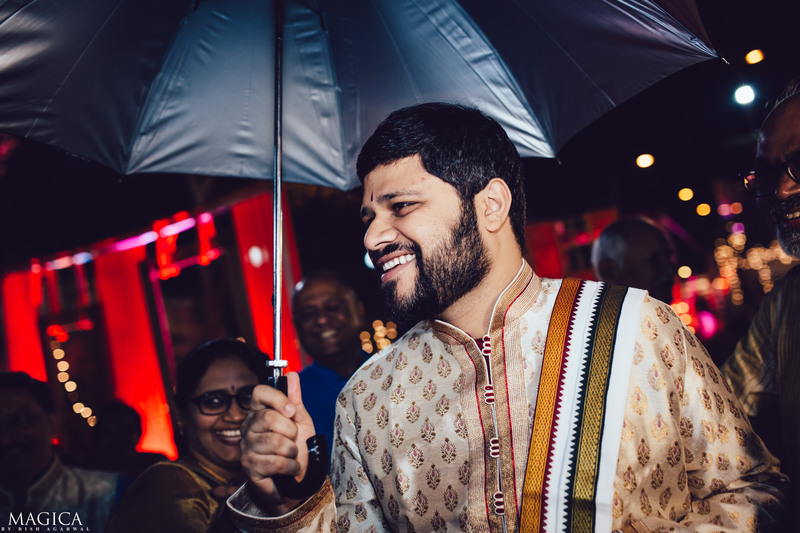 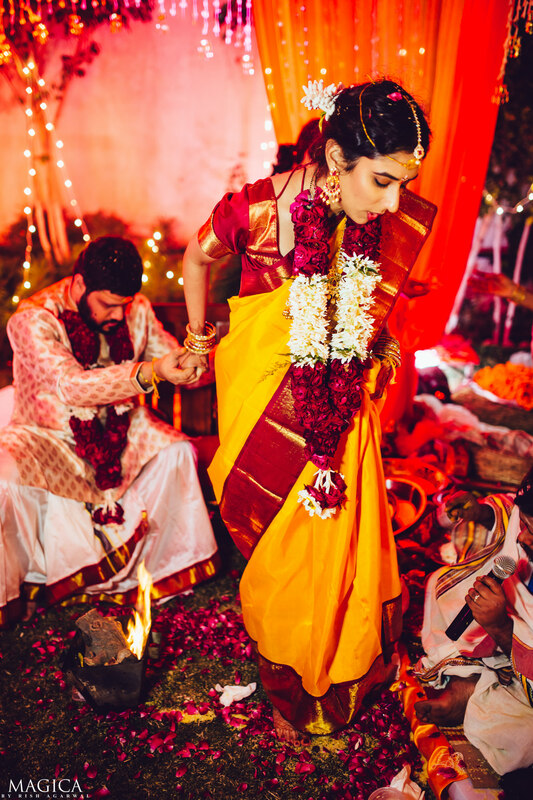 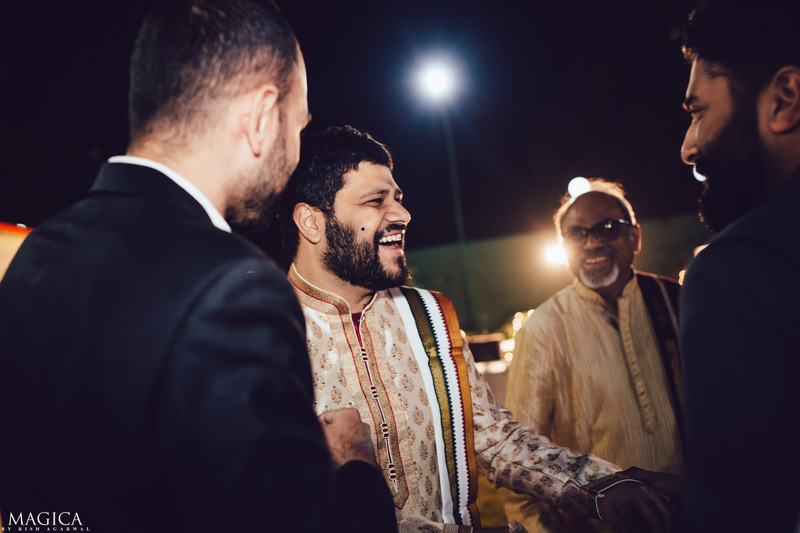 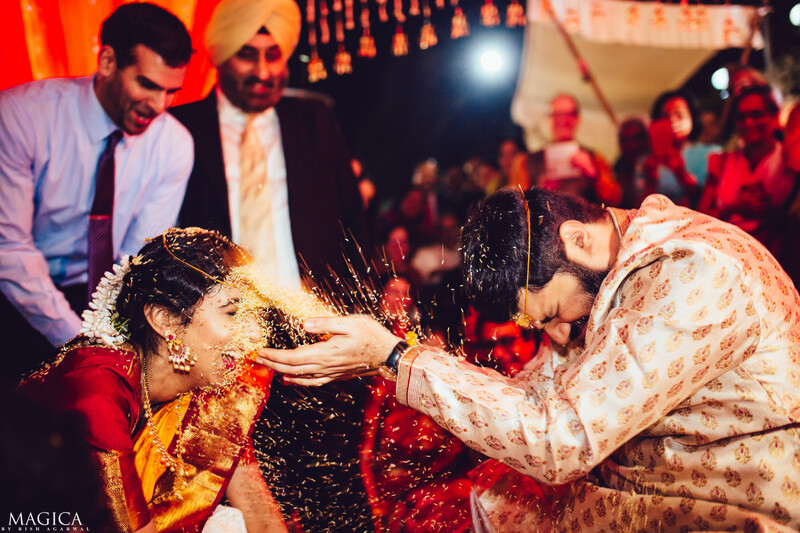 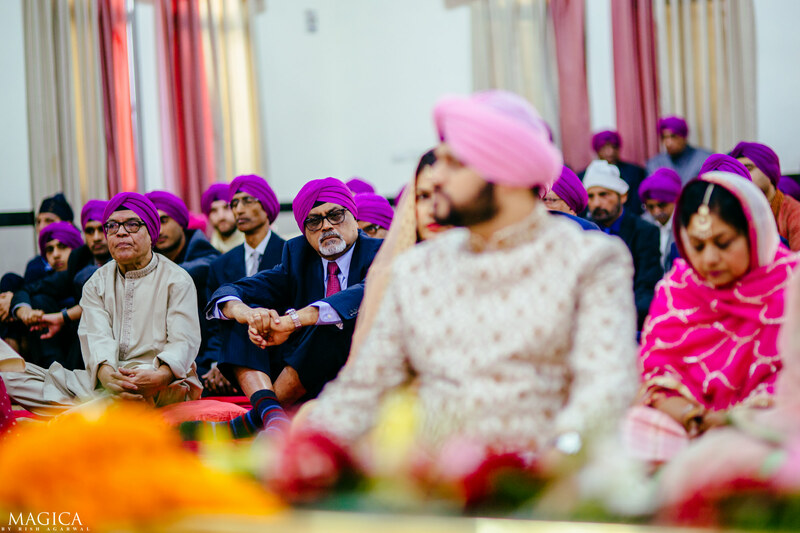 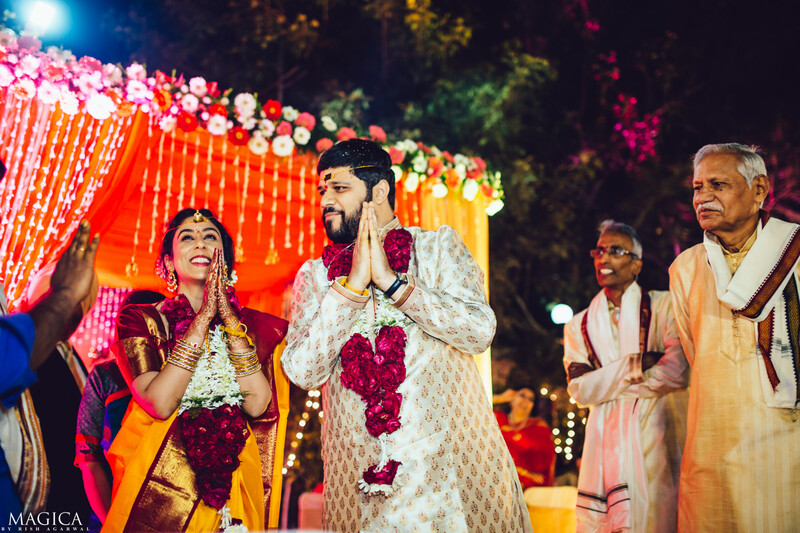 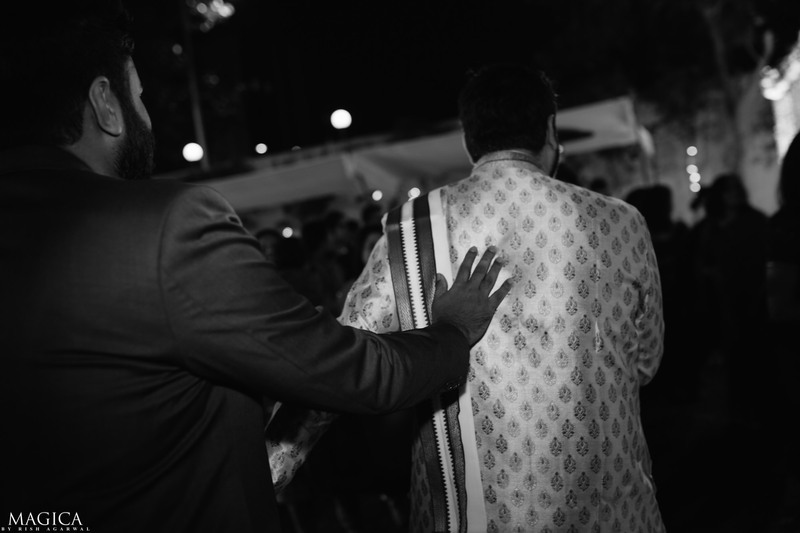 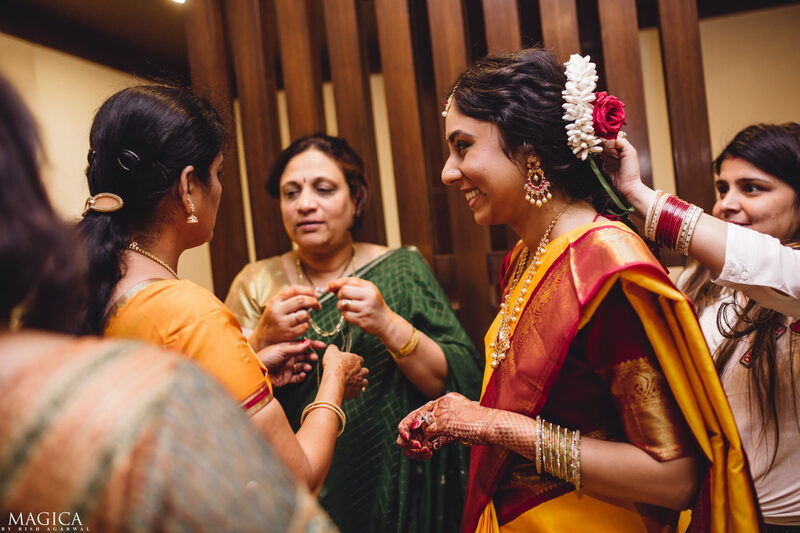 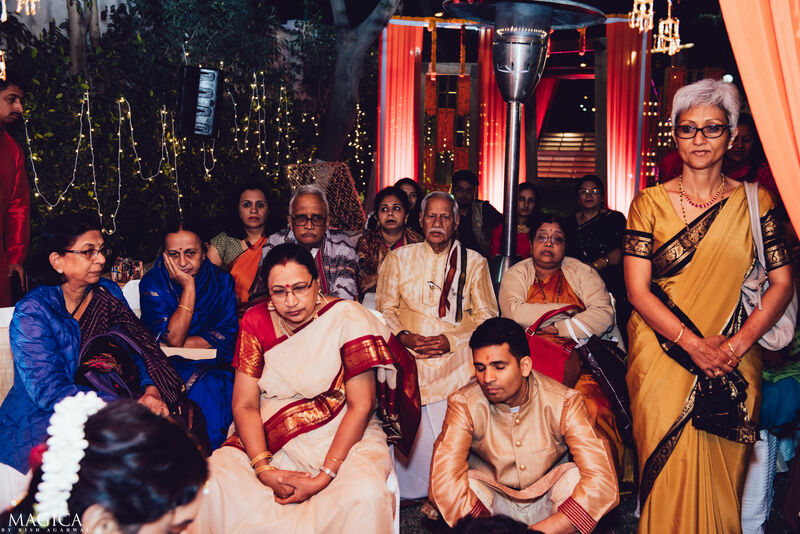 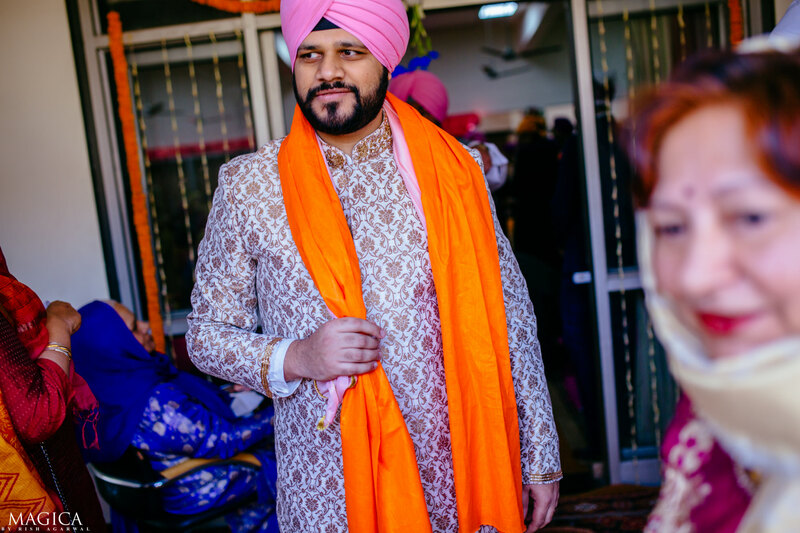 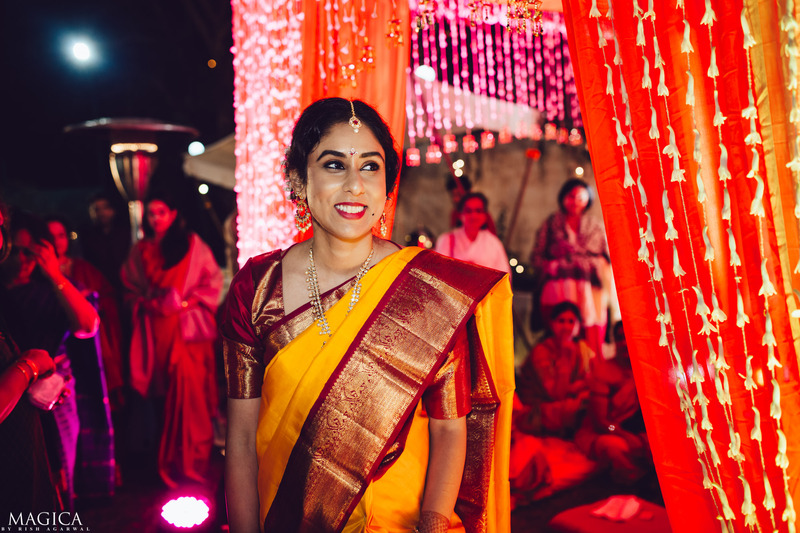 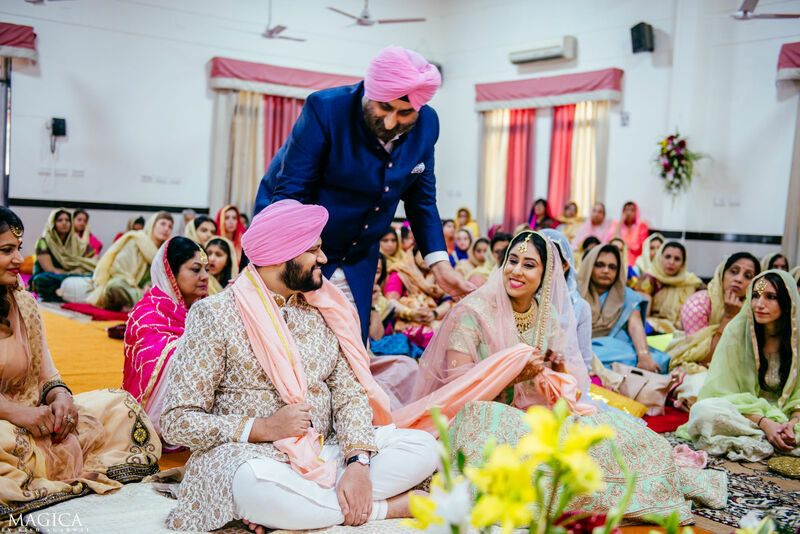 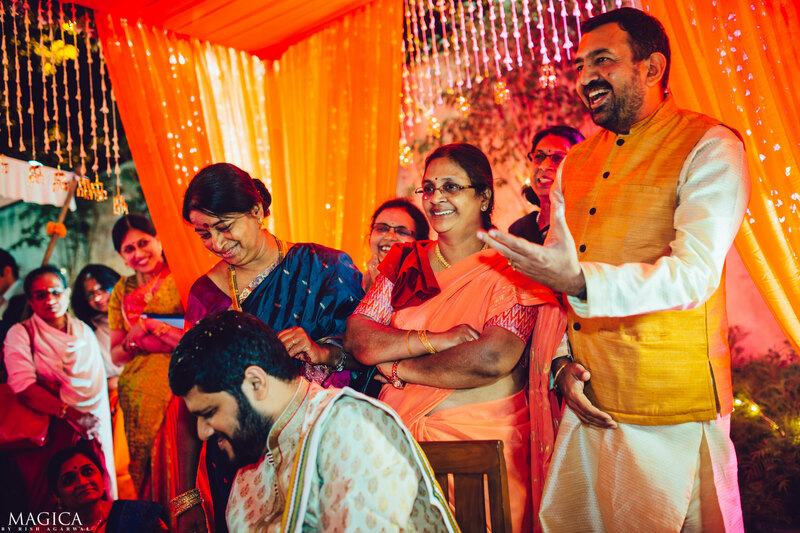 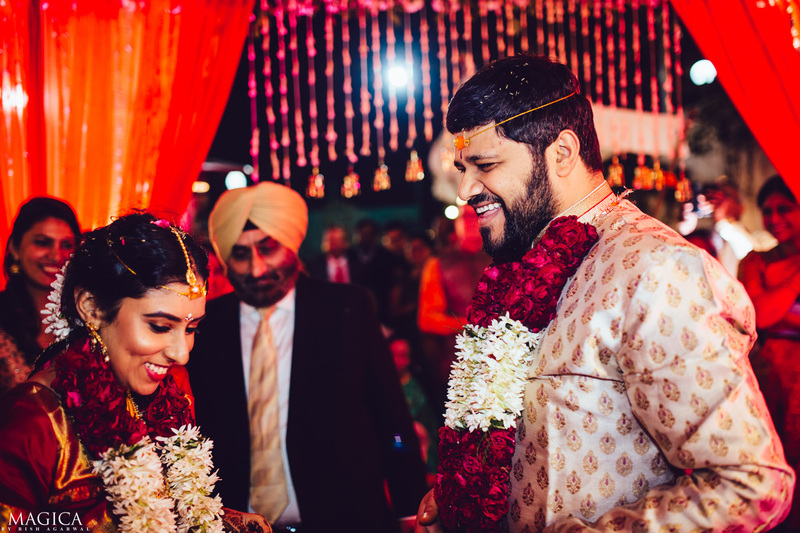 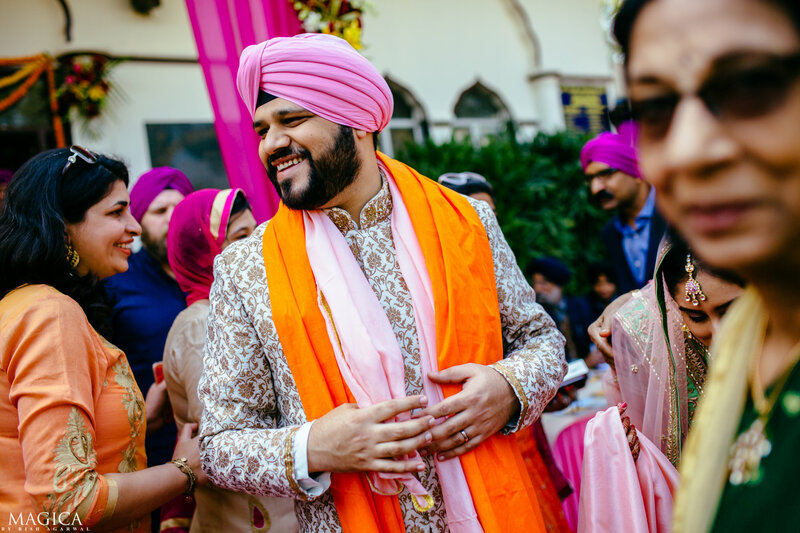 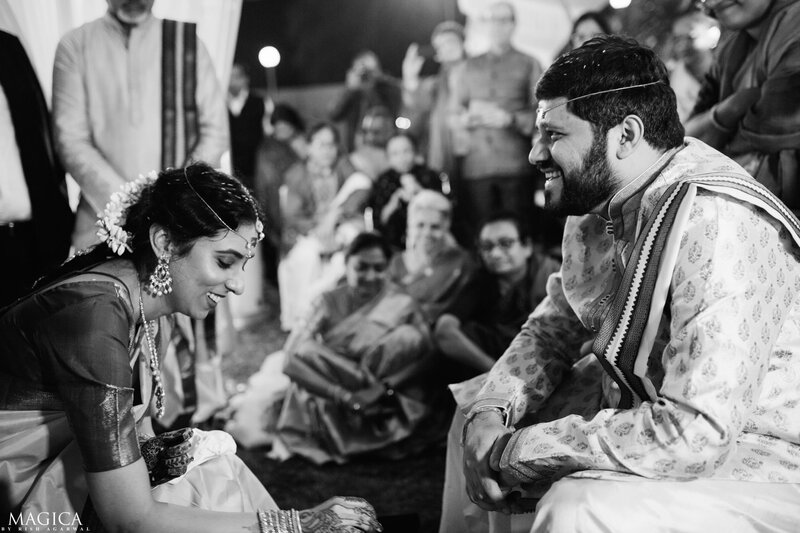 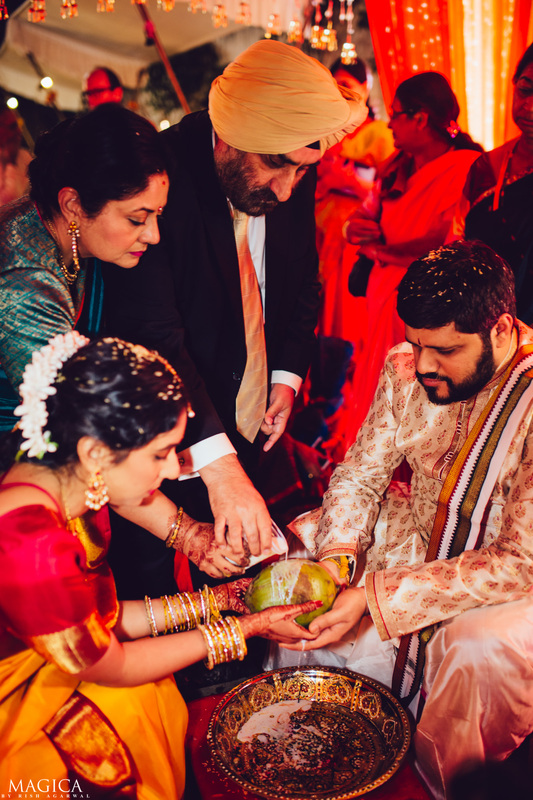 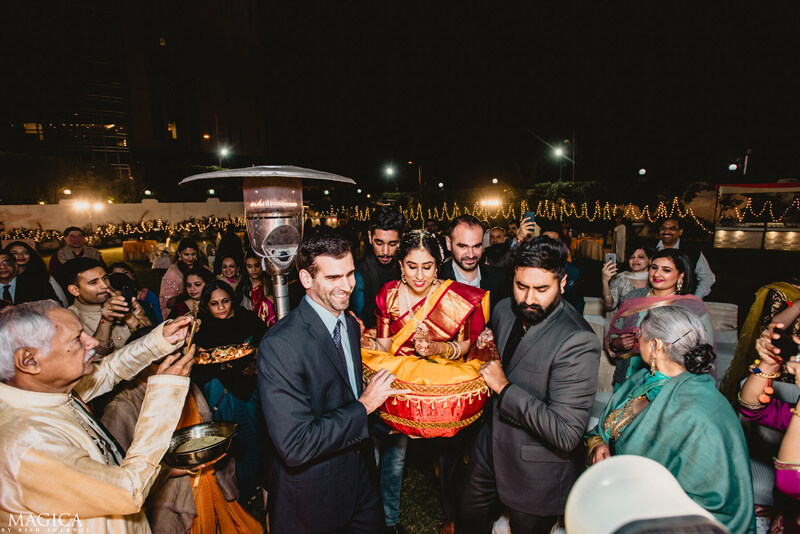 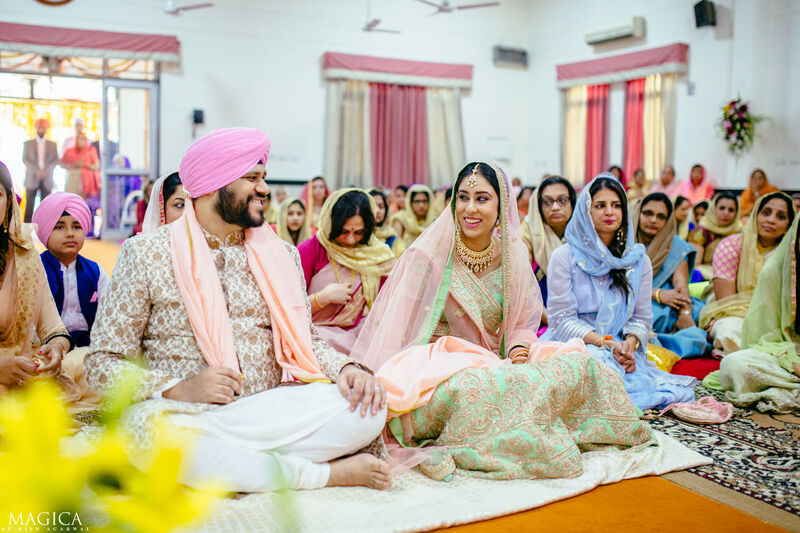 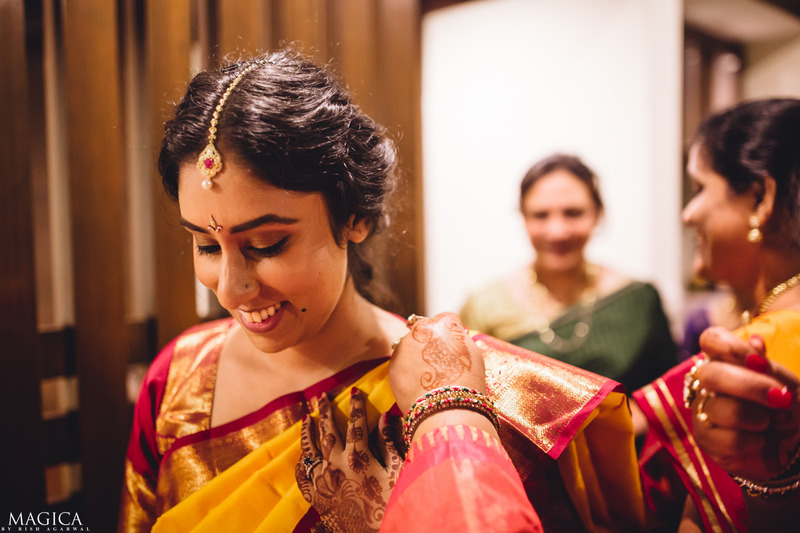 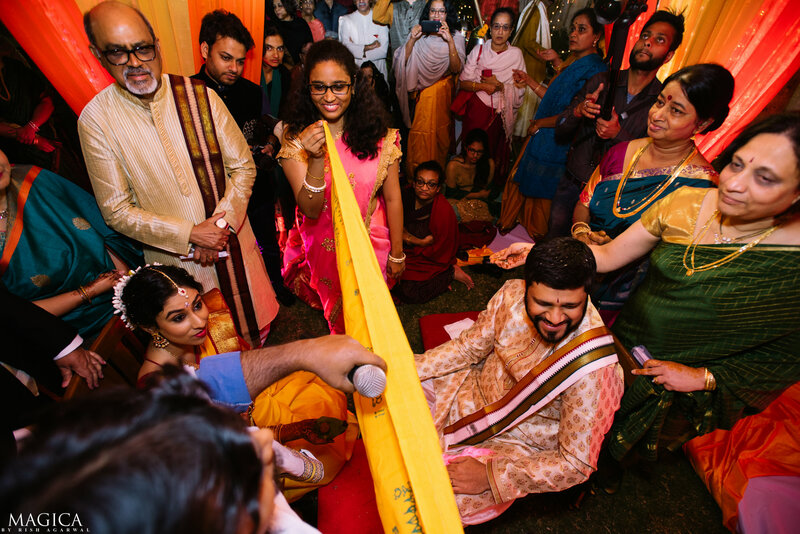 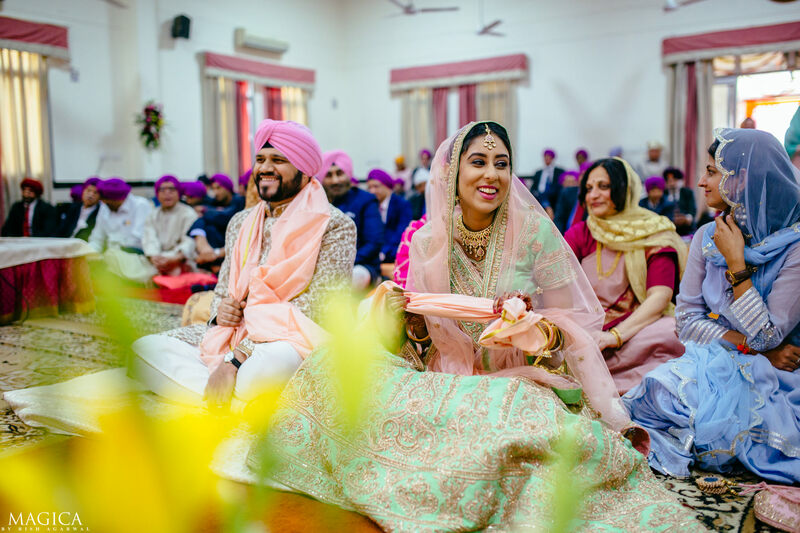 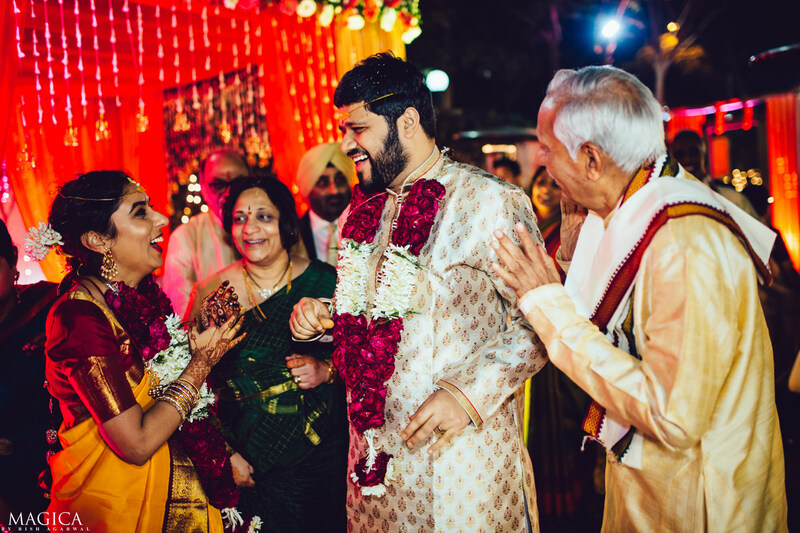 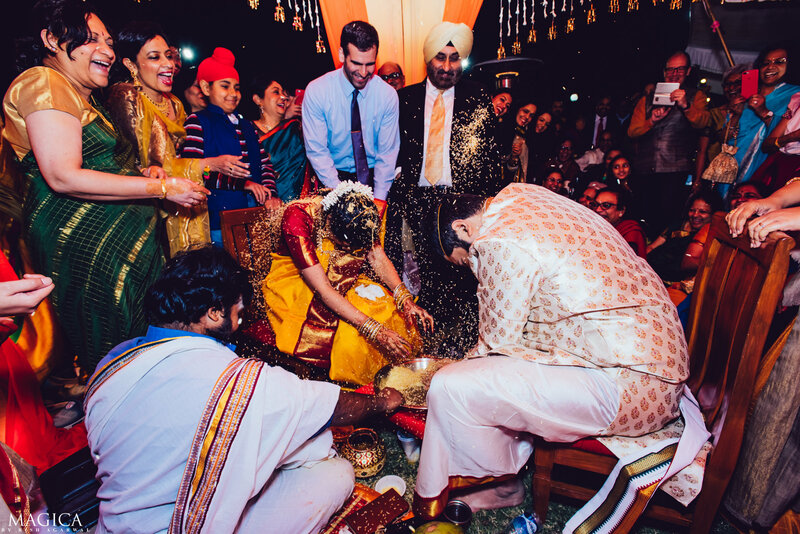 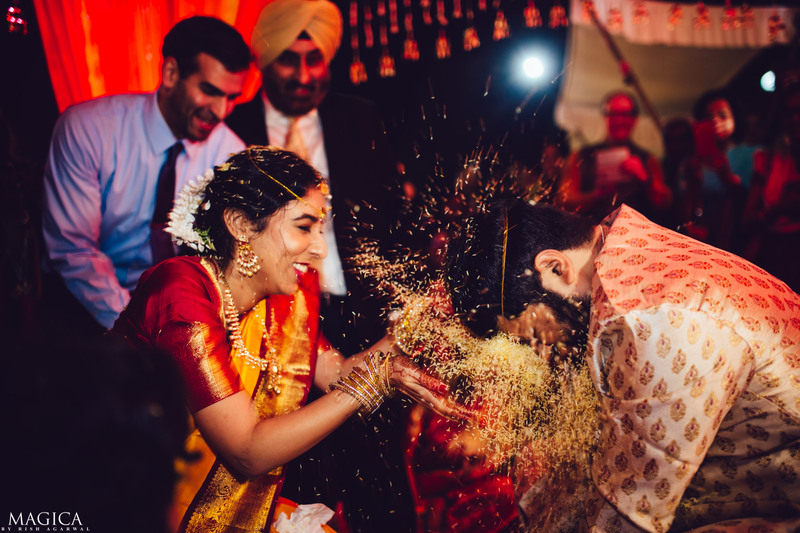 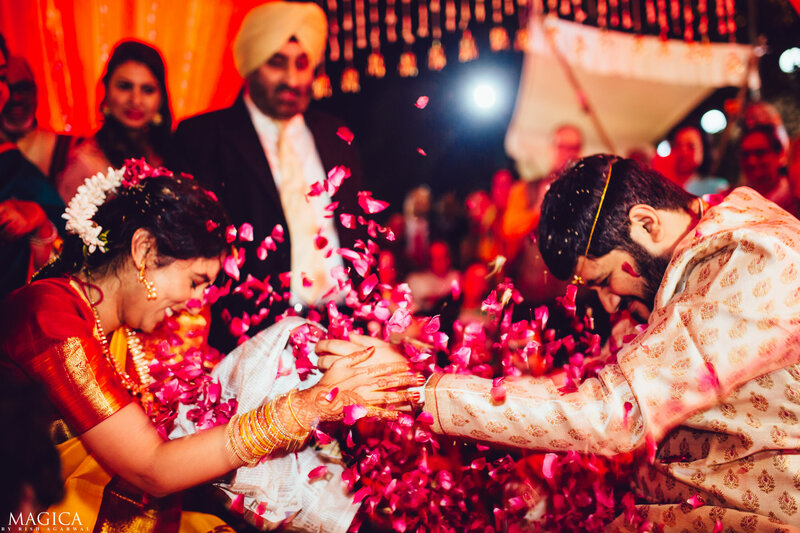 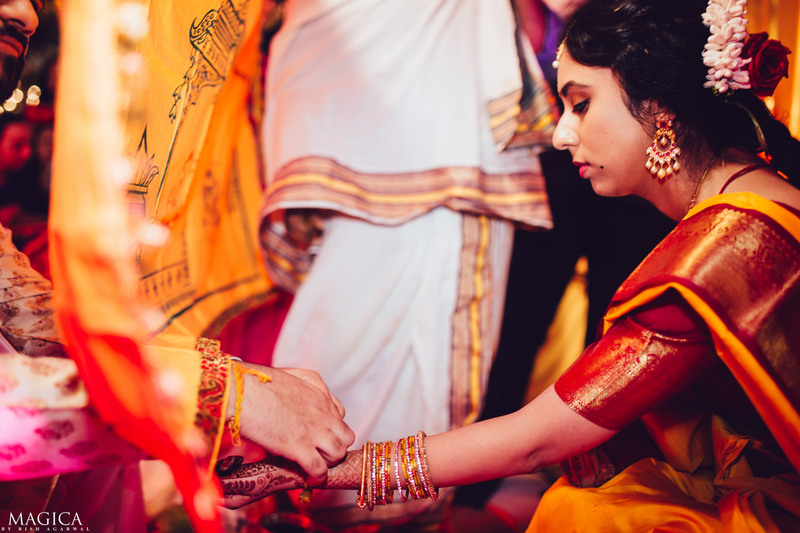 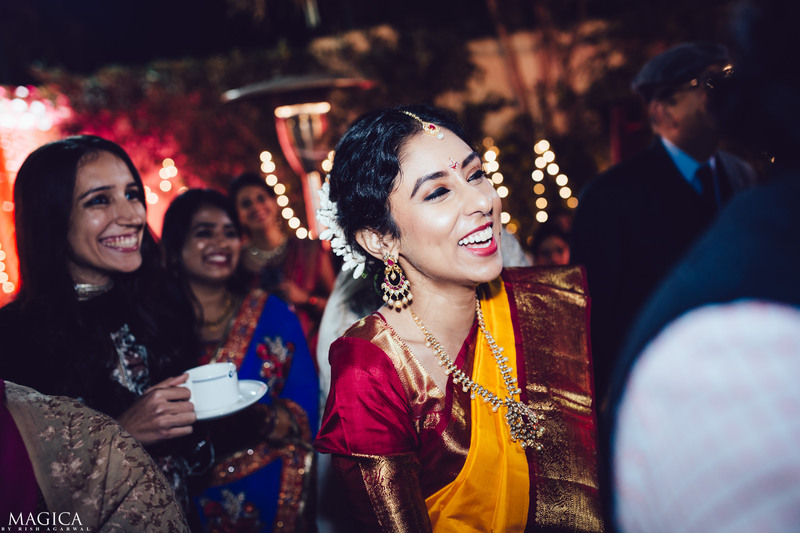 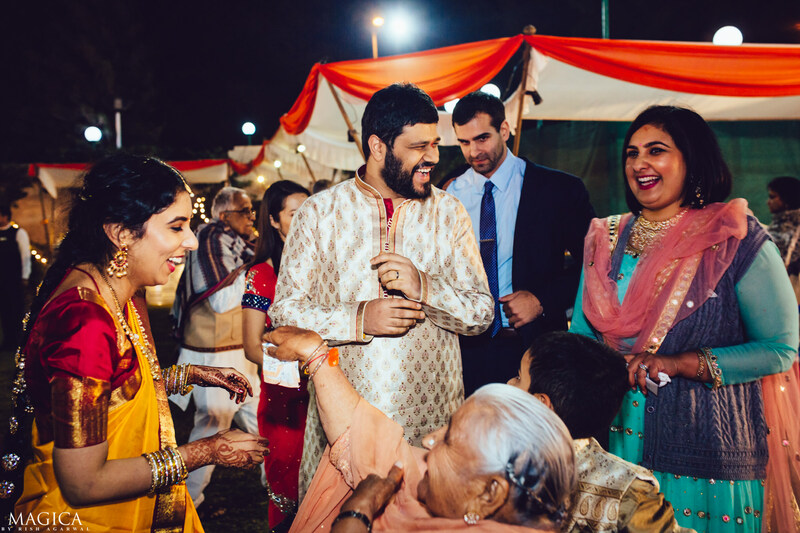 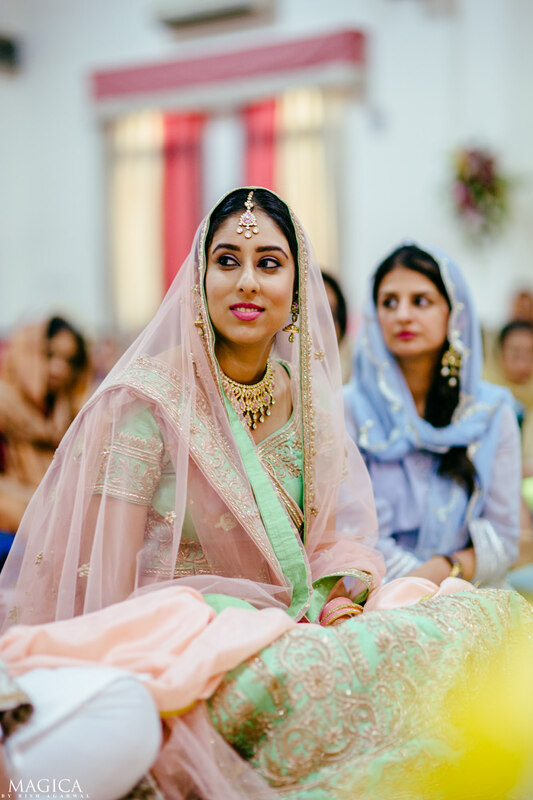 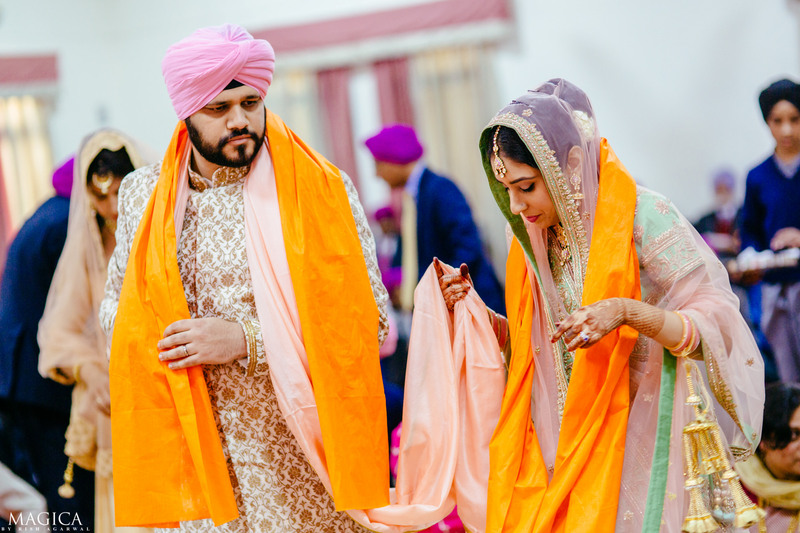 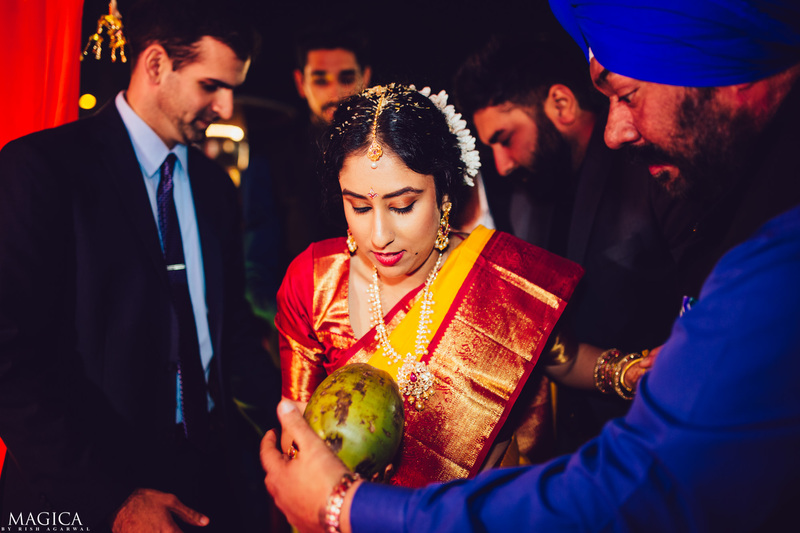 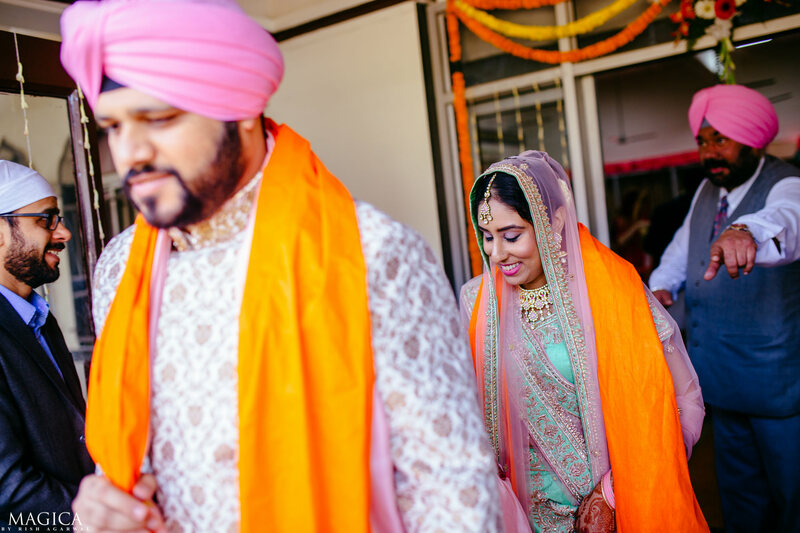 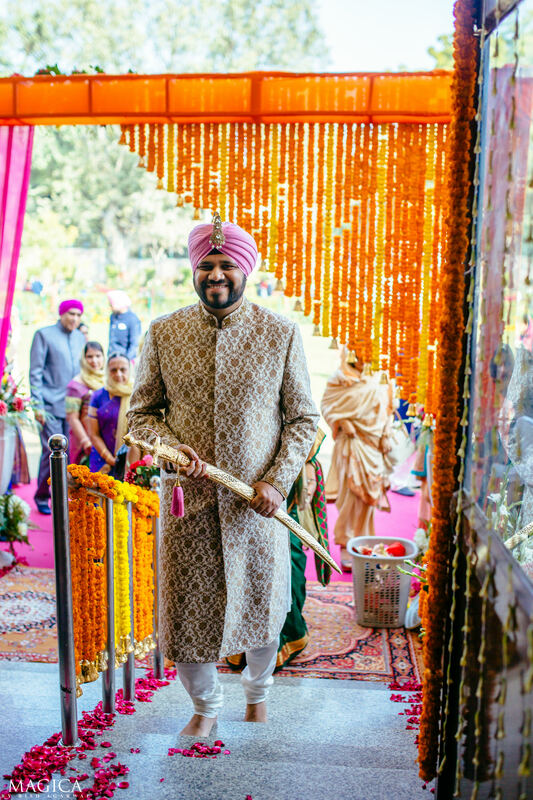 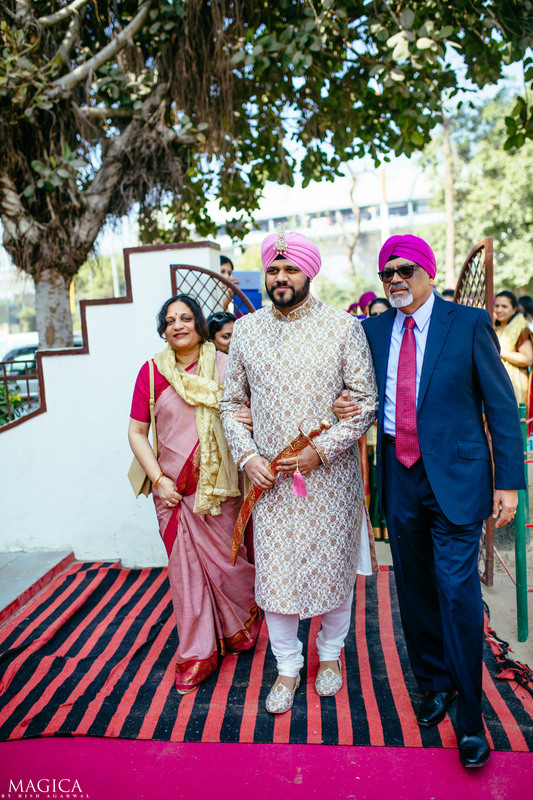 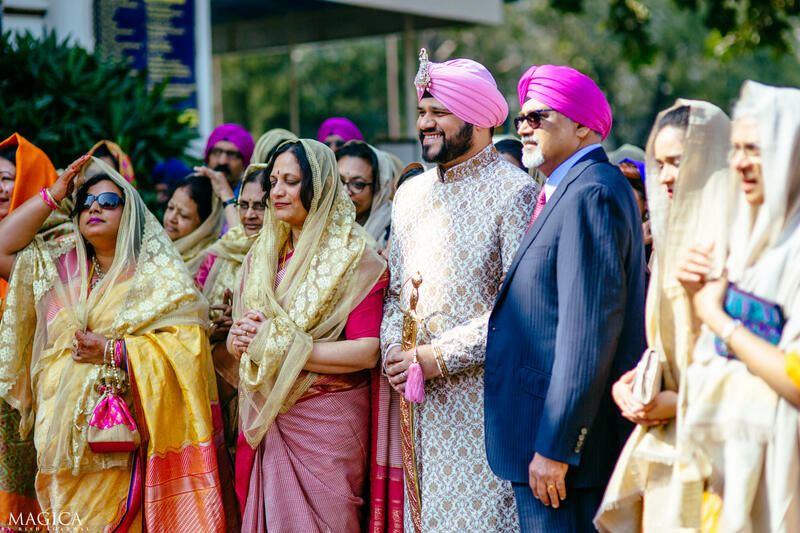 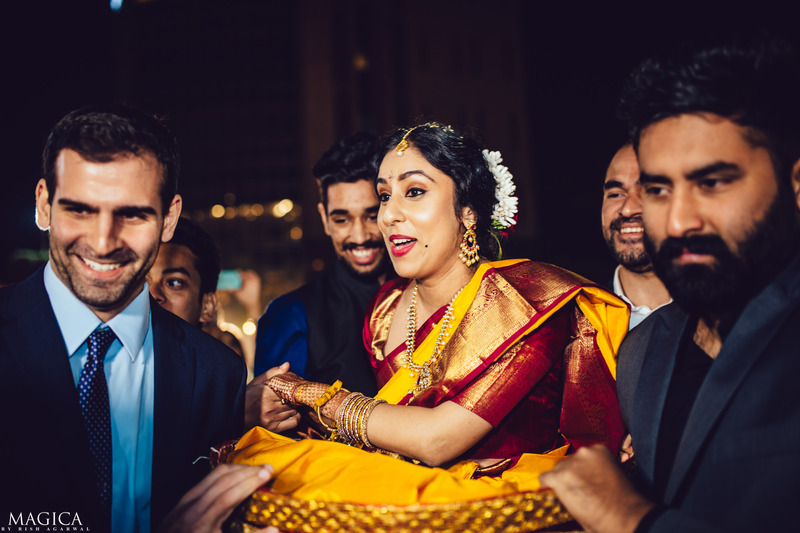 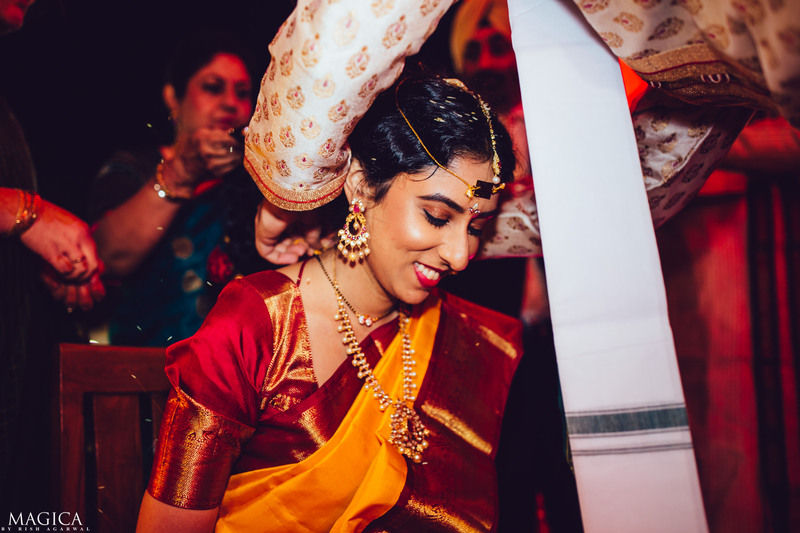 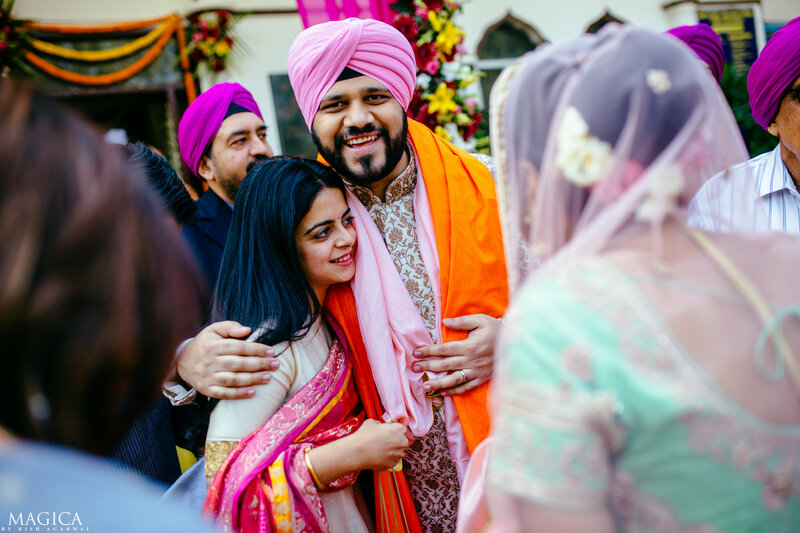 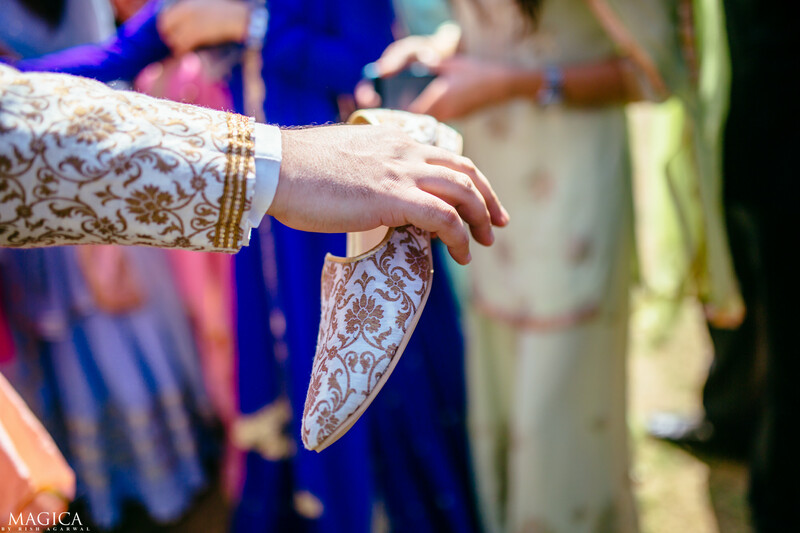 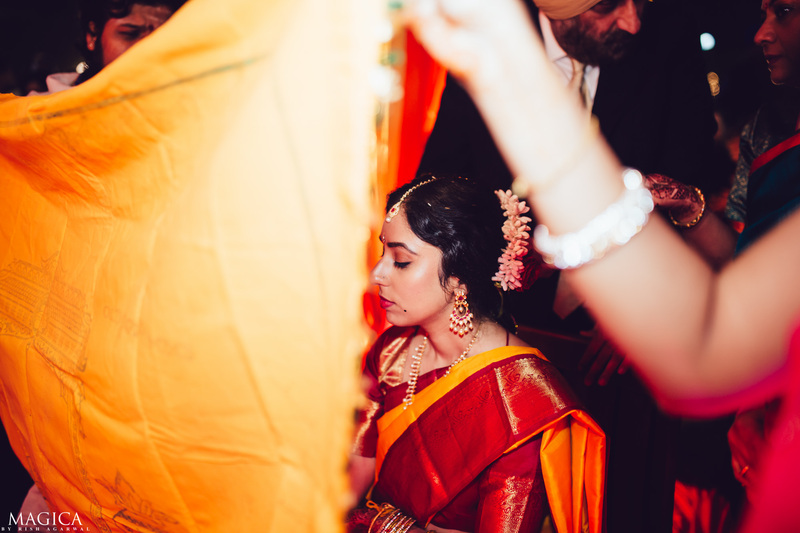 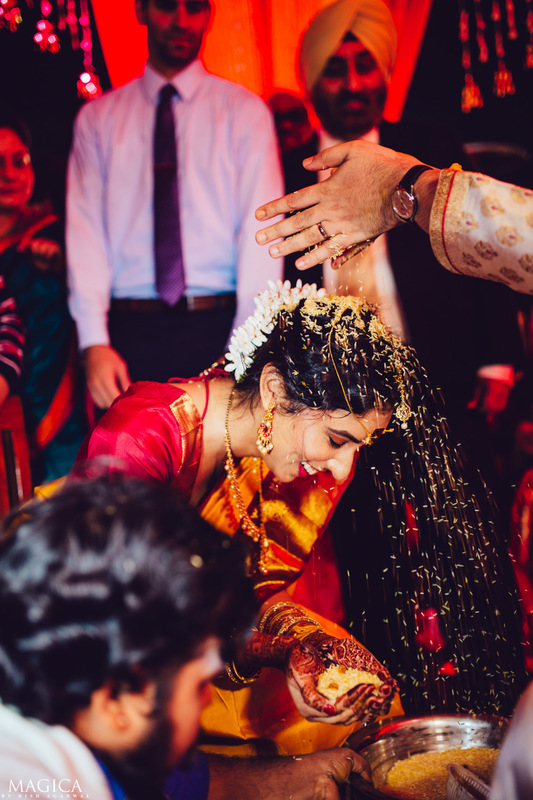 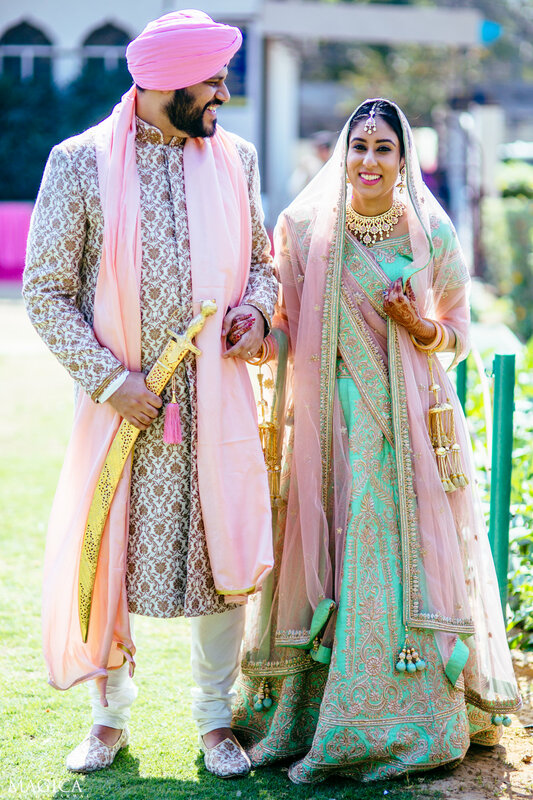 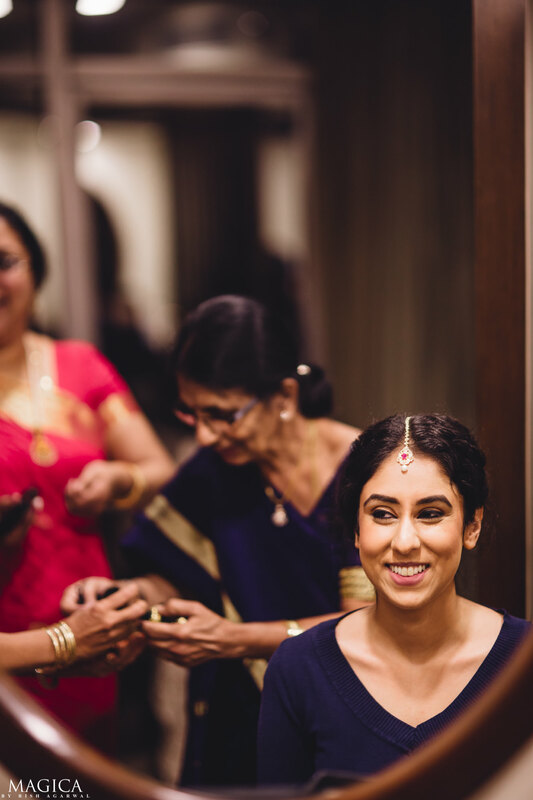 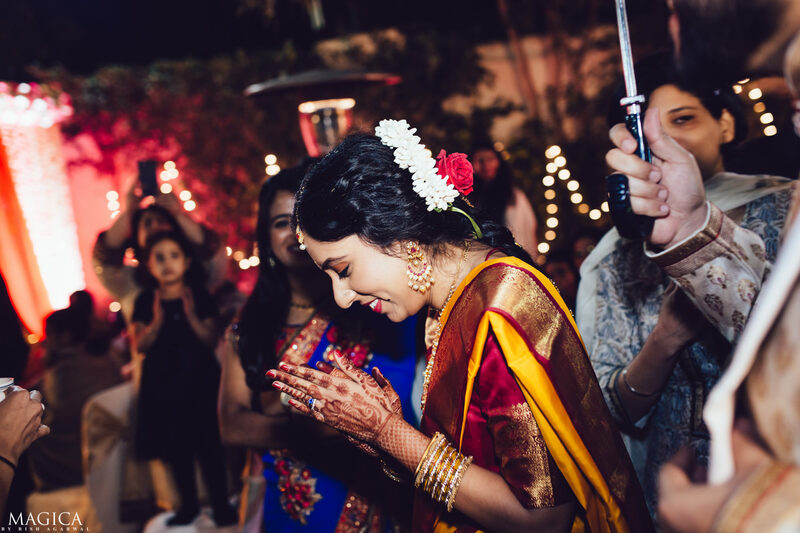 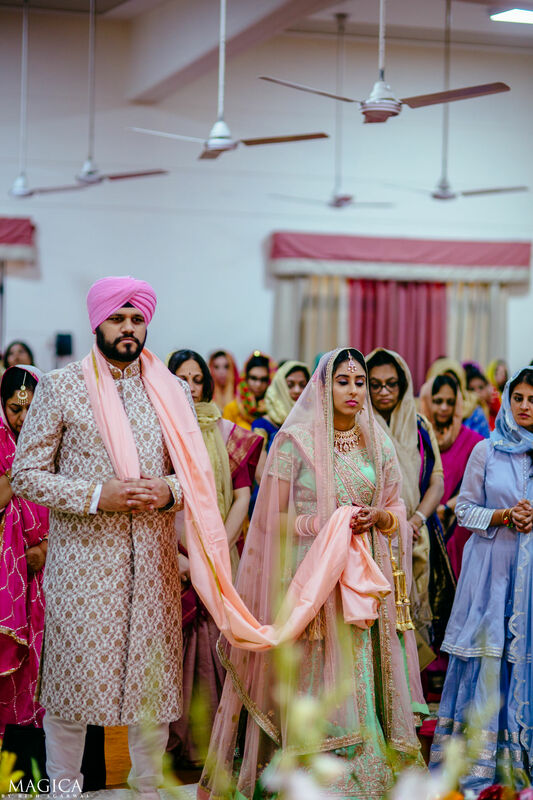 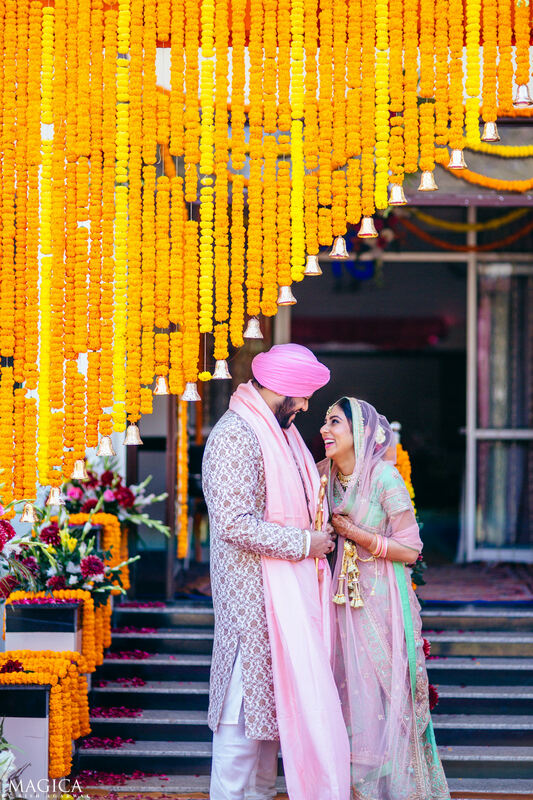 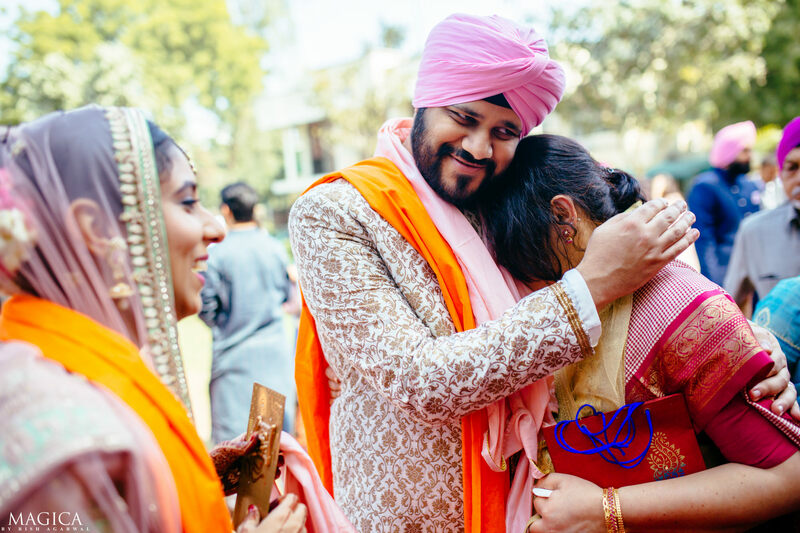 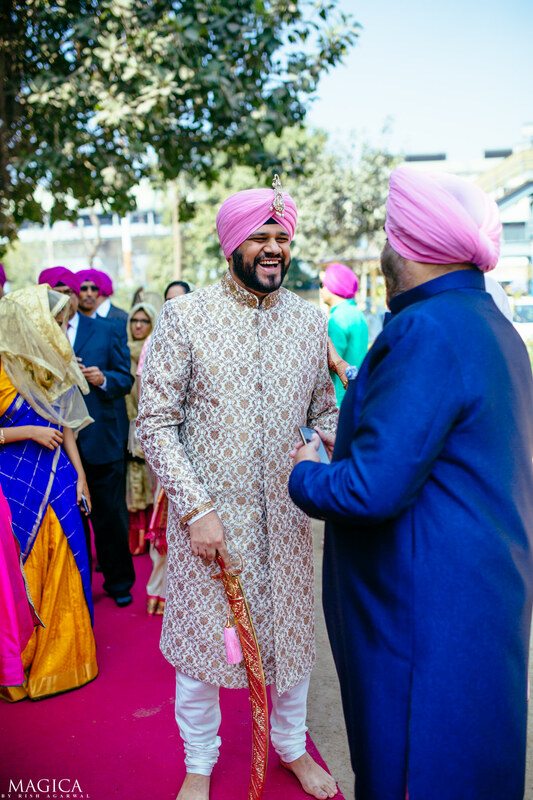 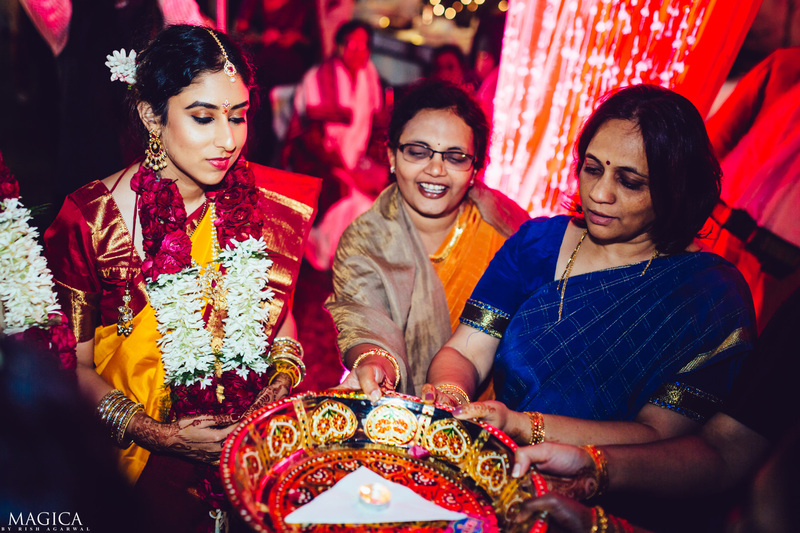 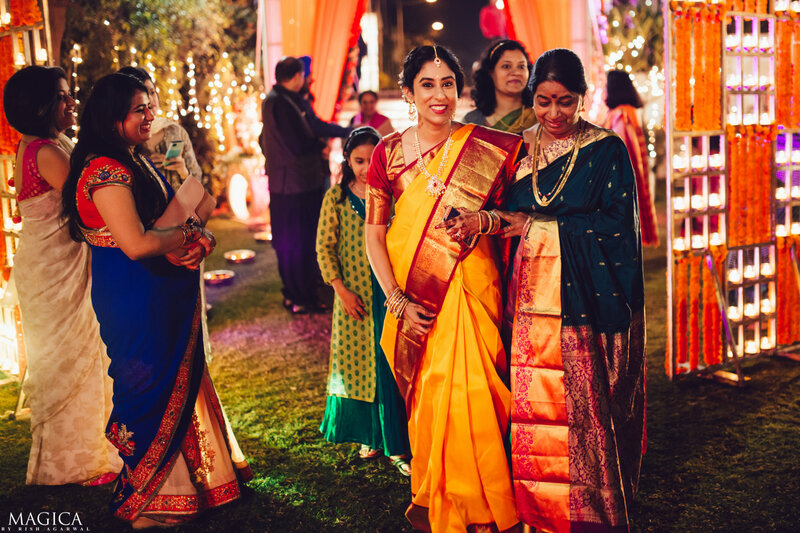 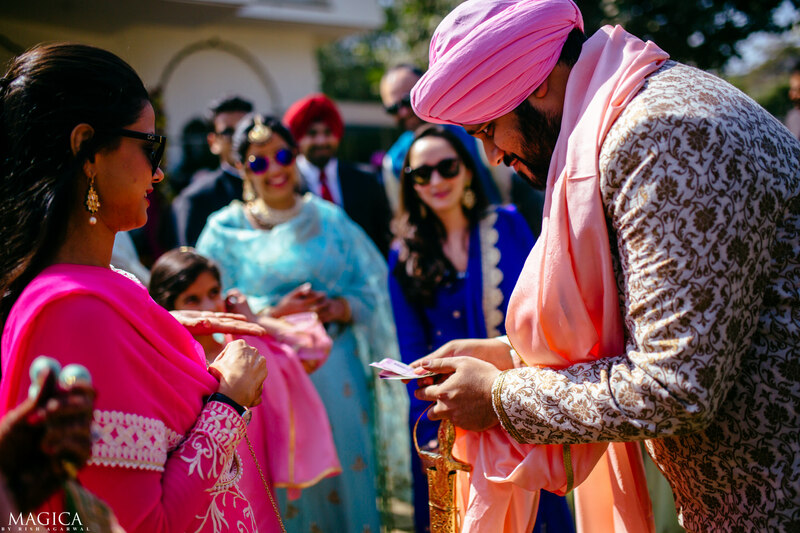 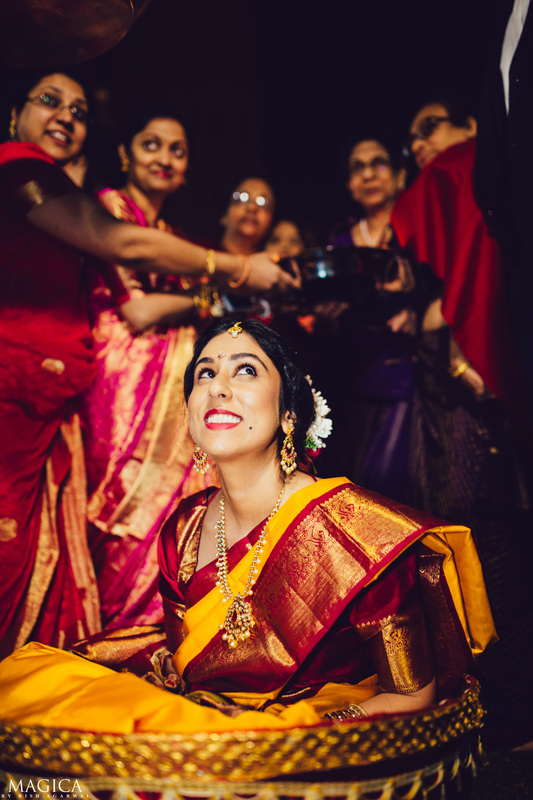 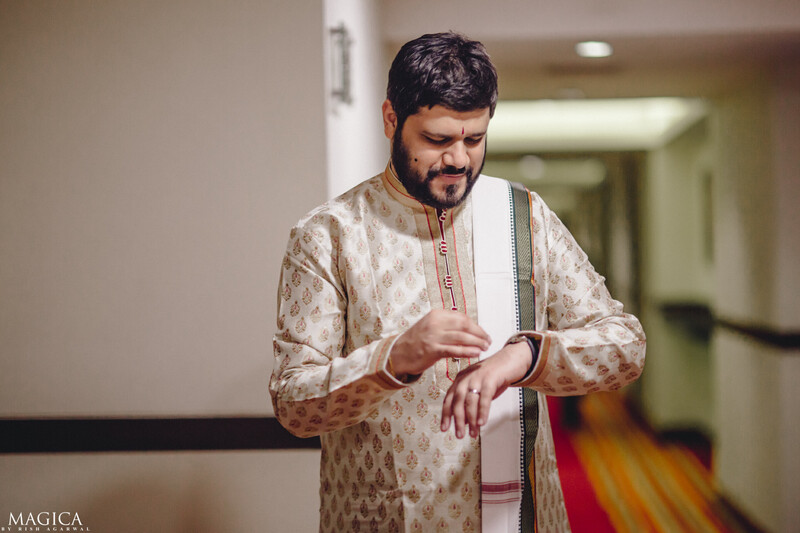 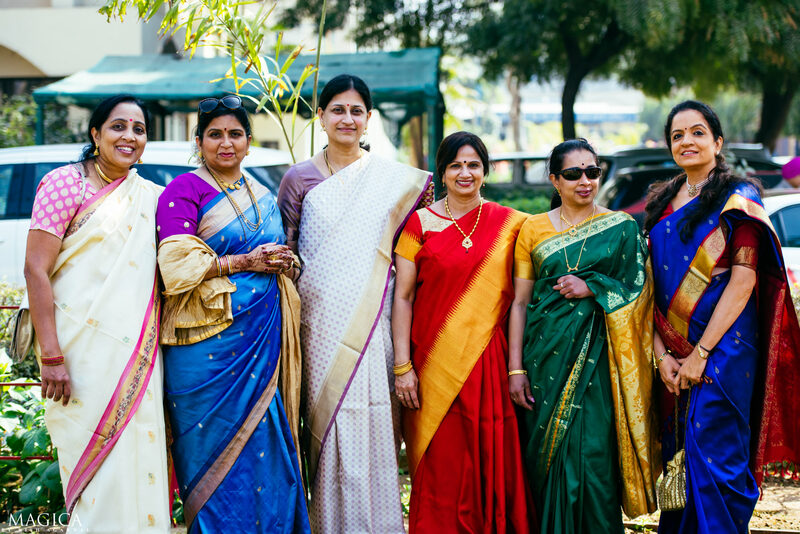 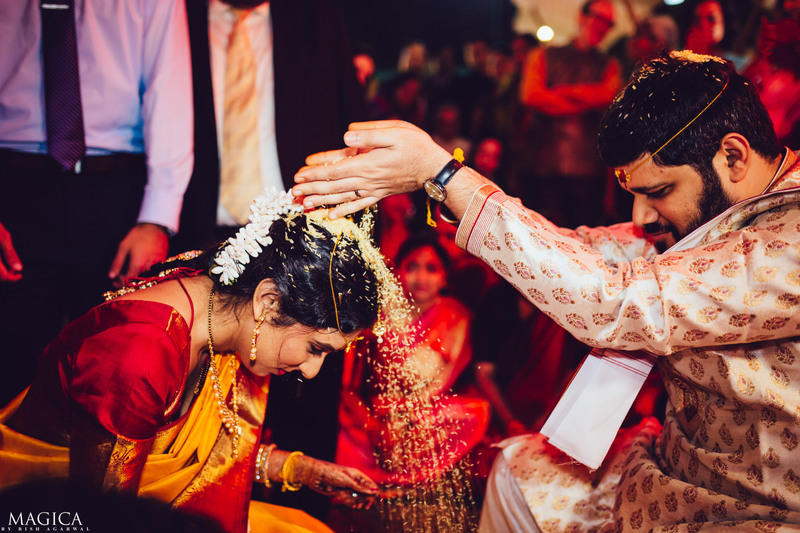 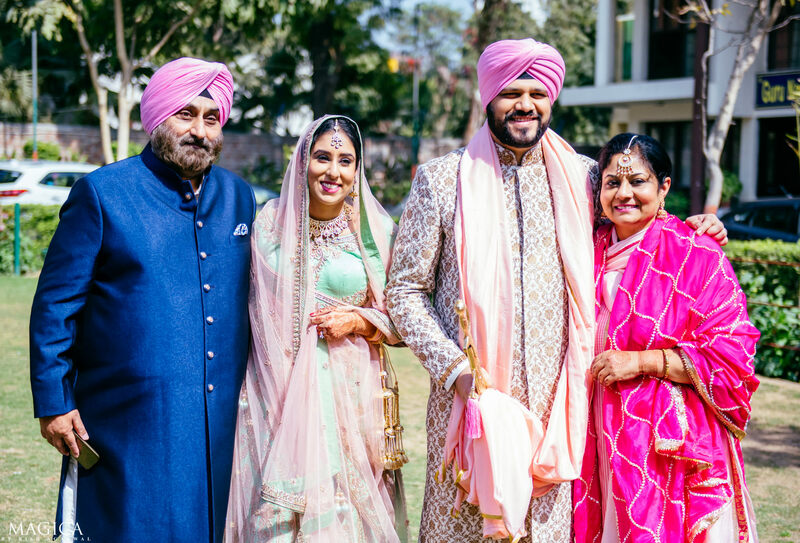 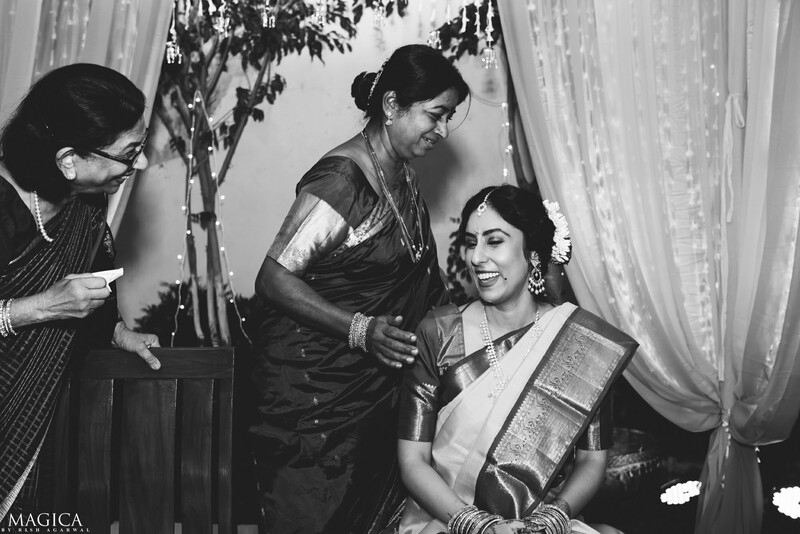 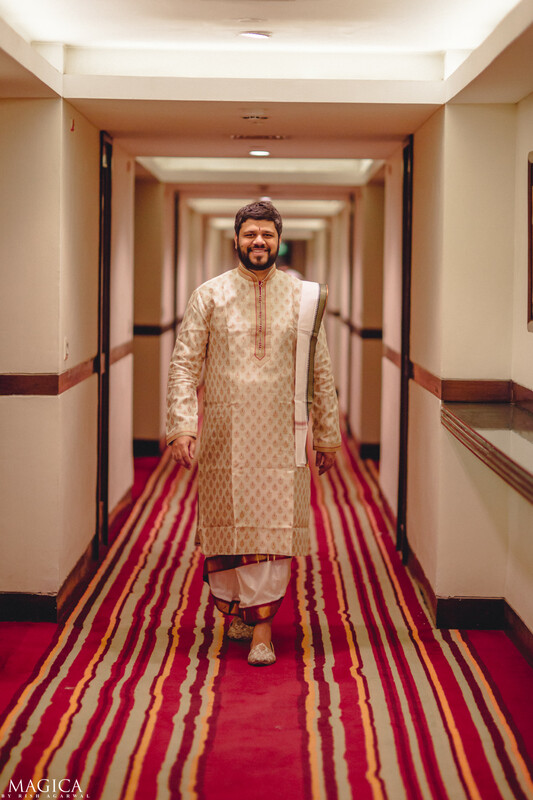 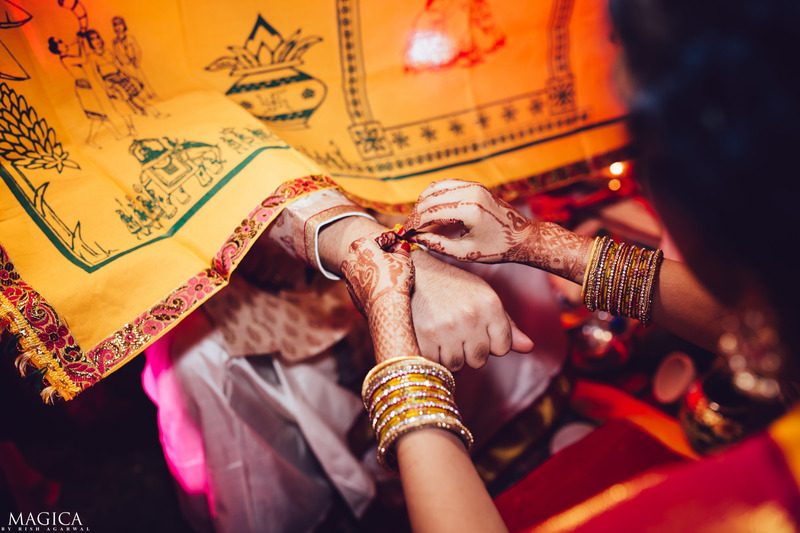 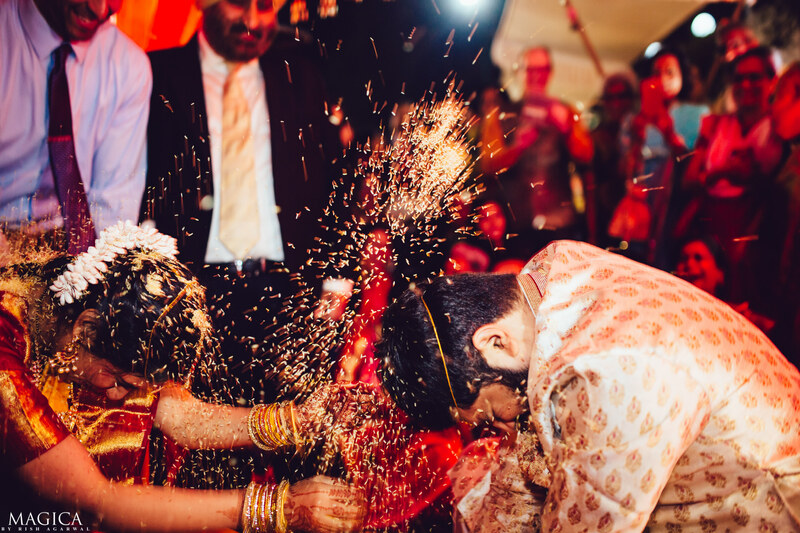 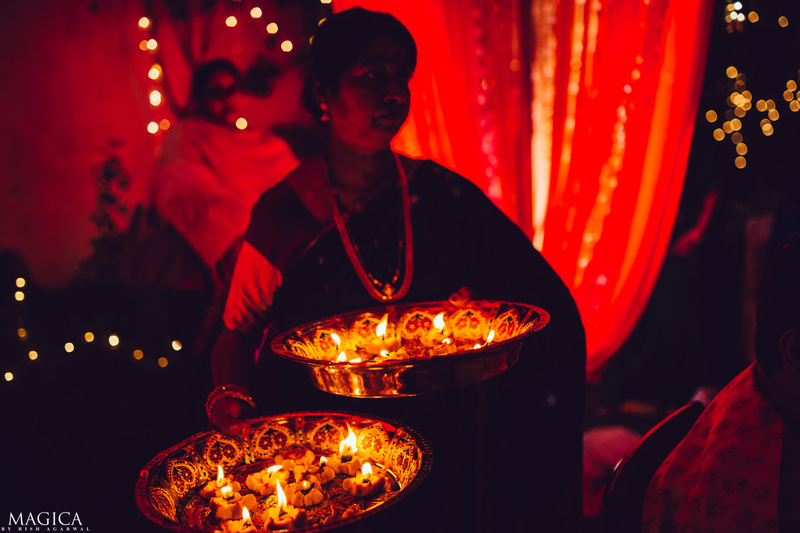 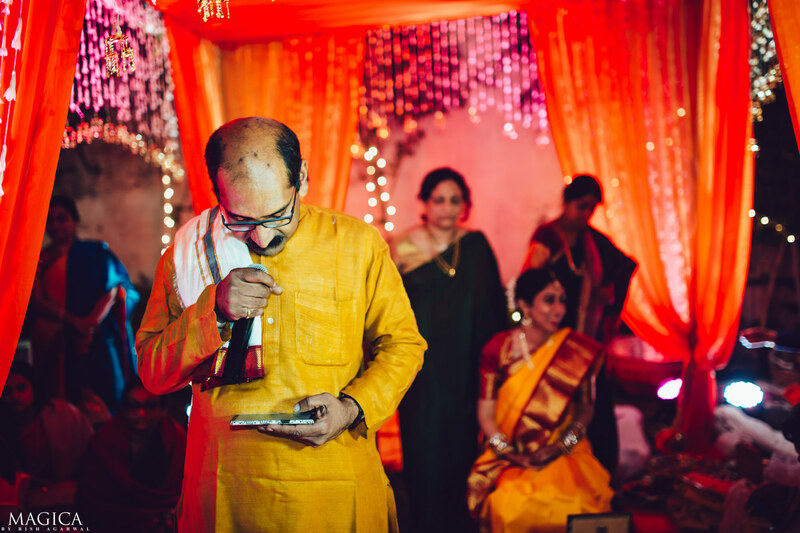 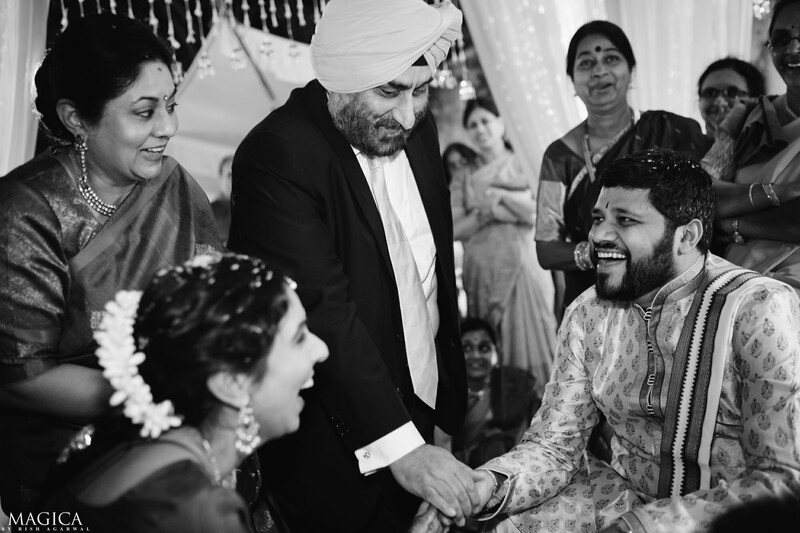 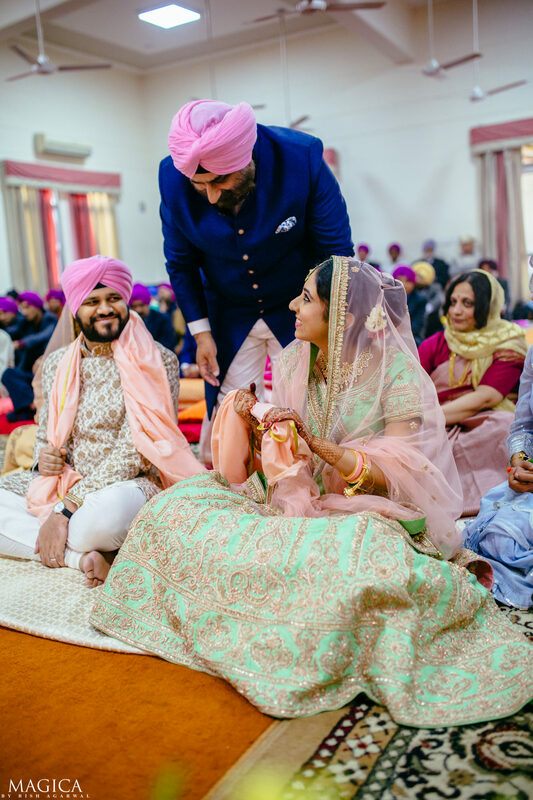 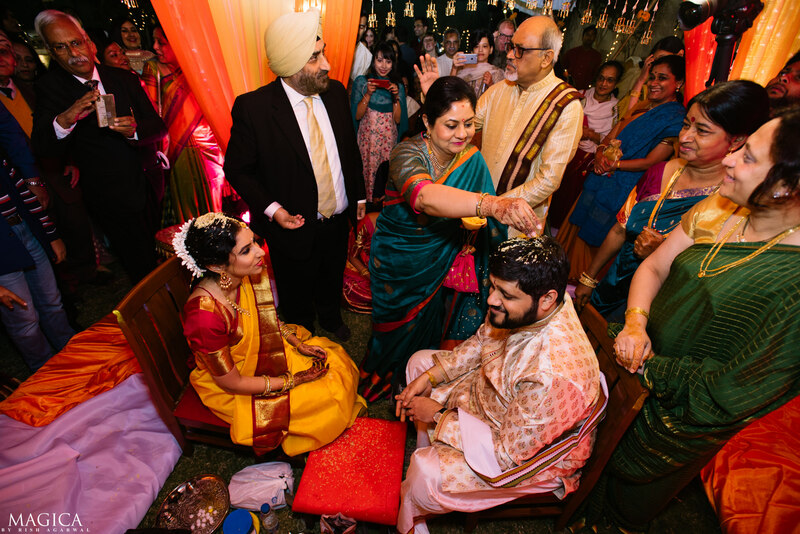 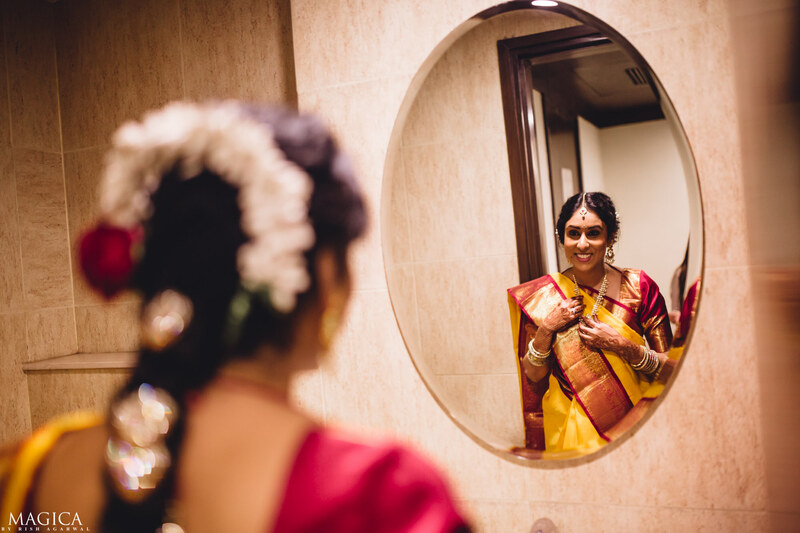 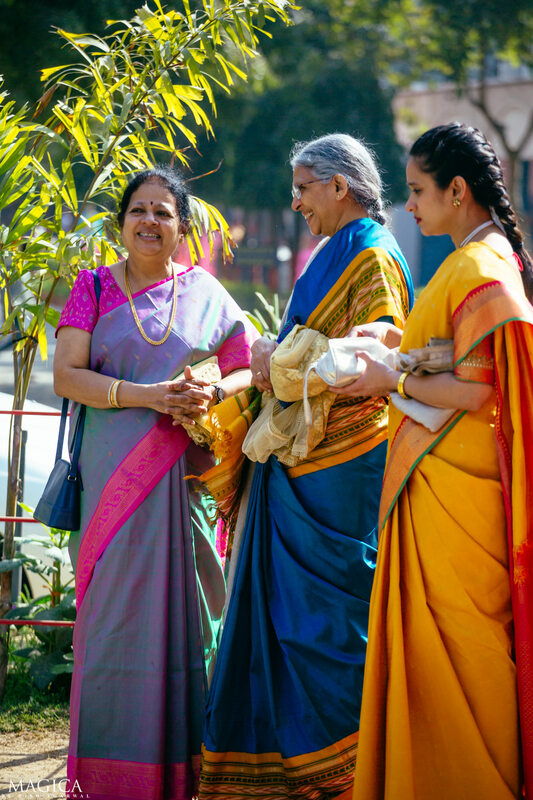 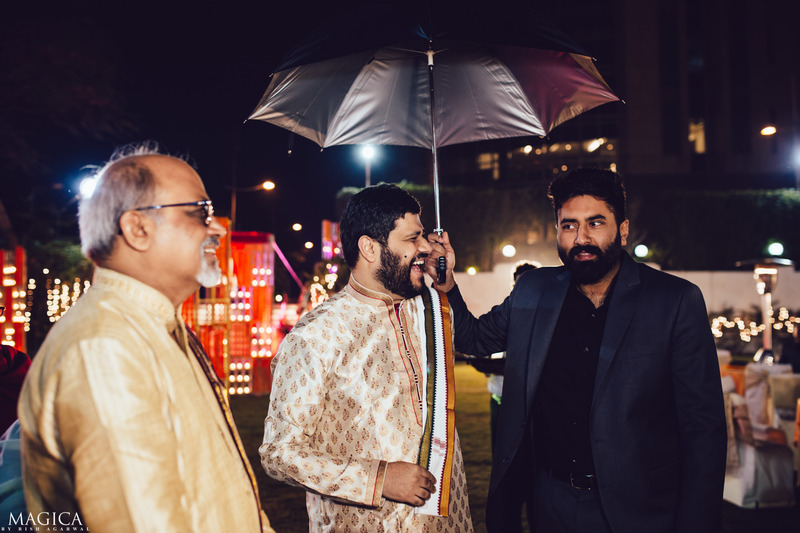 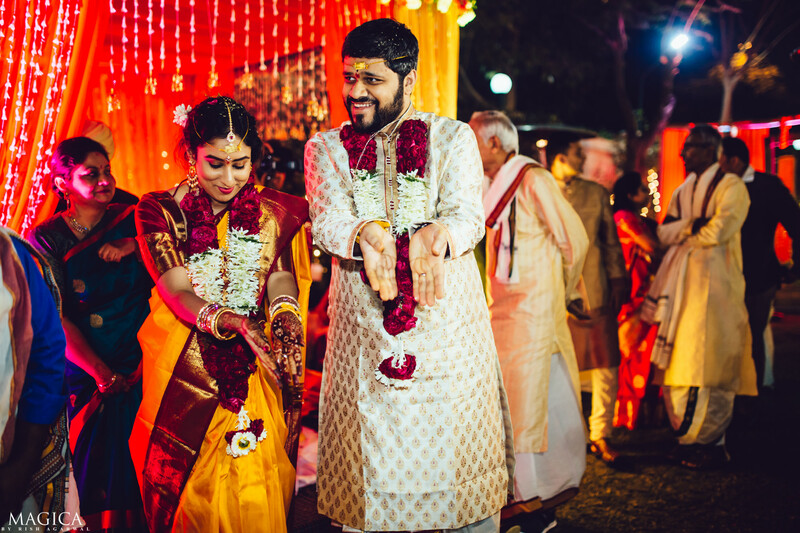 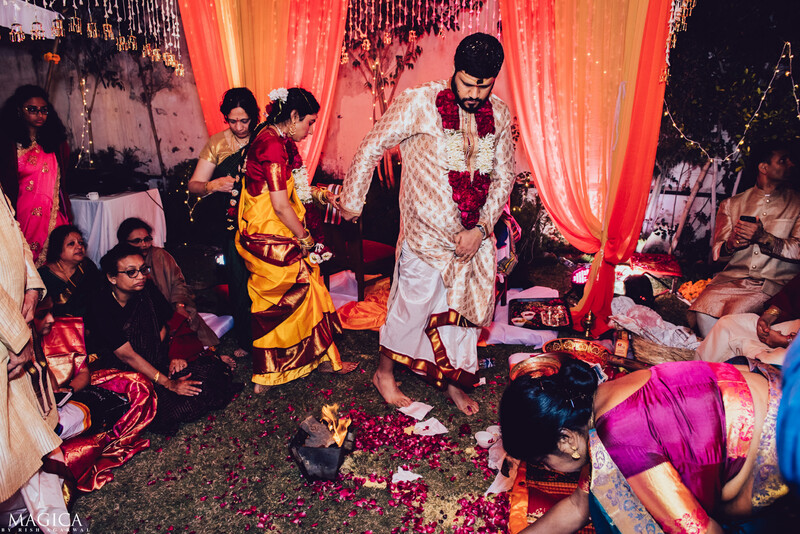 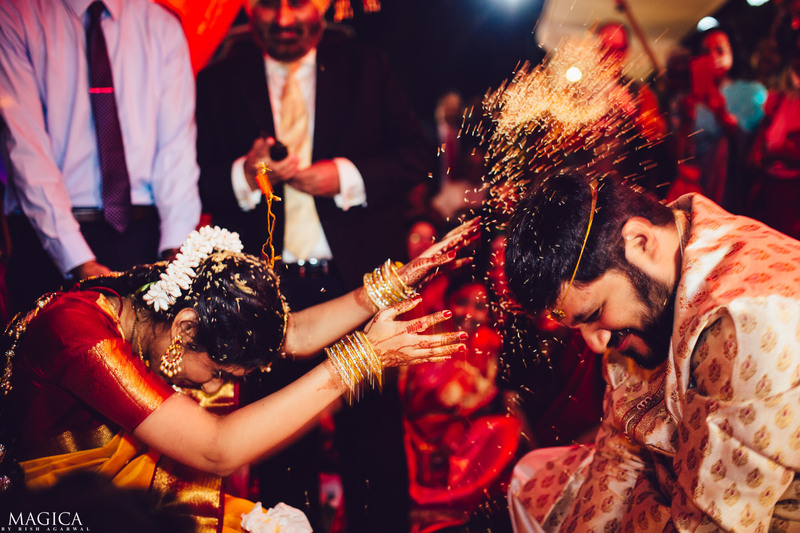 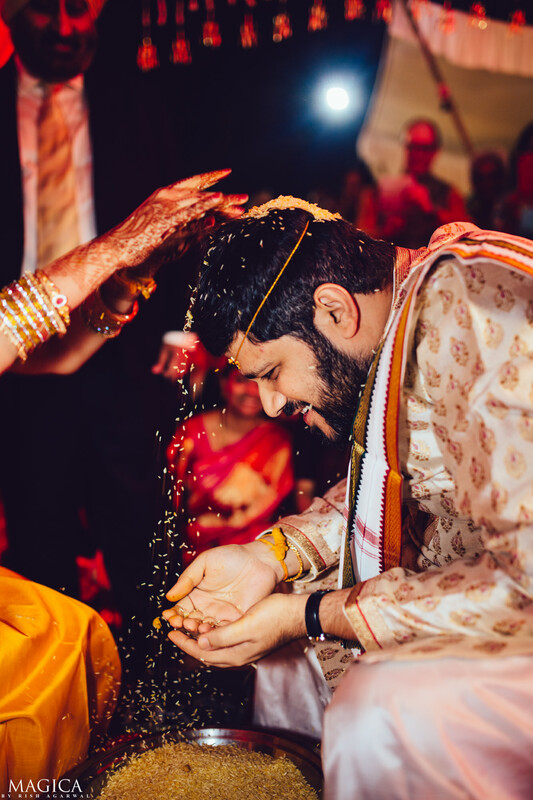 With one special ritual in the Telugu wedding being that the groom goes on to leave the ceremony but the bride’s brother convinces him and brings him back. 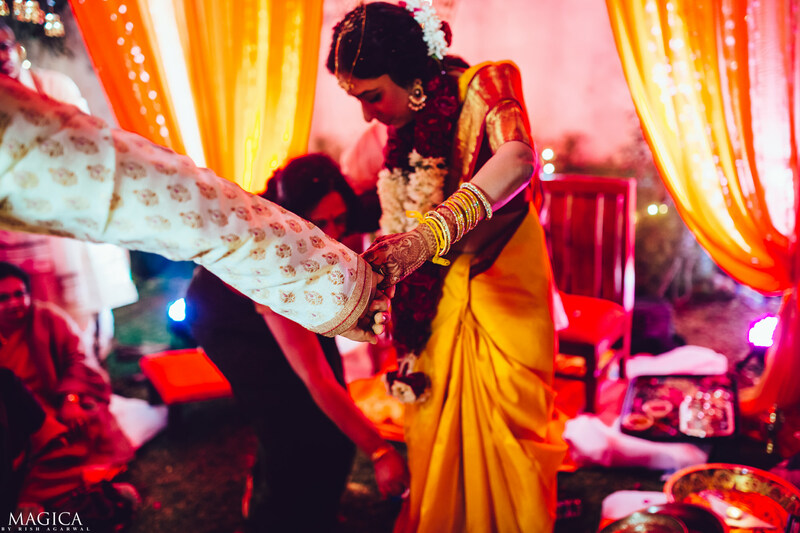 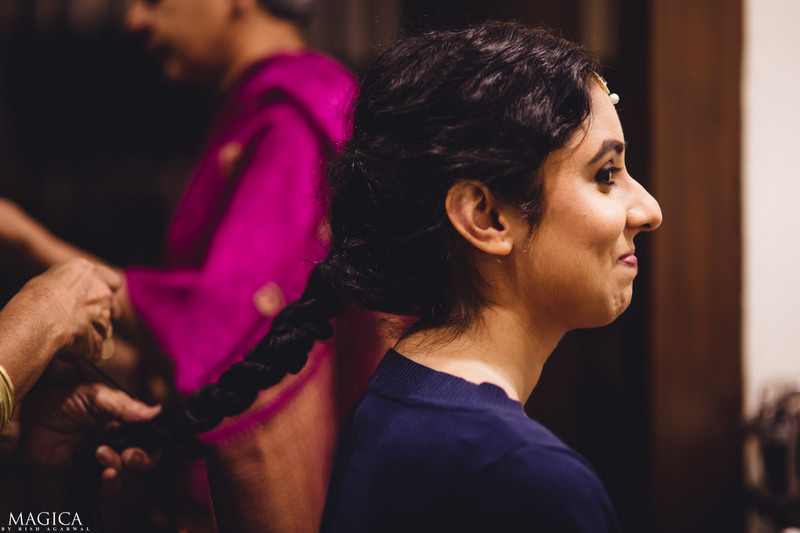 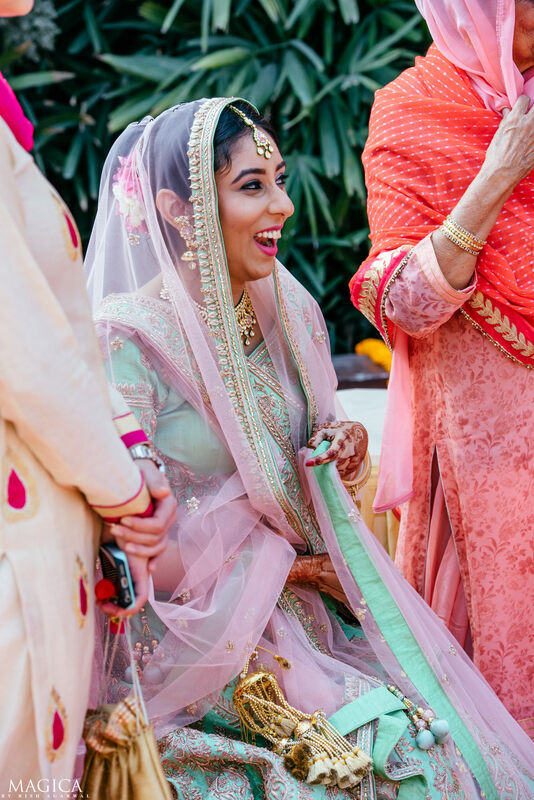 And one special ritual for Puneet wherein she was supposed to be carried in a basket to the mandap! 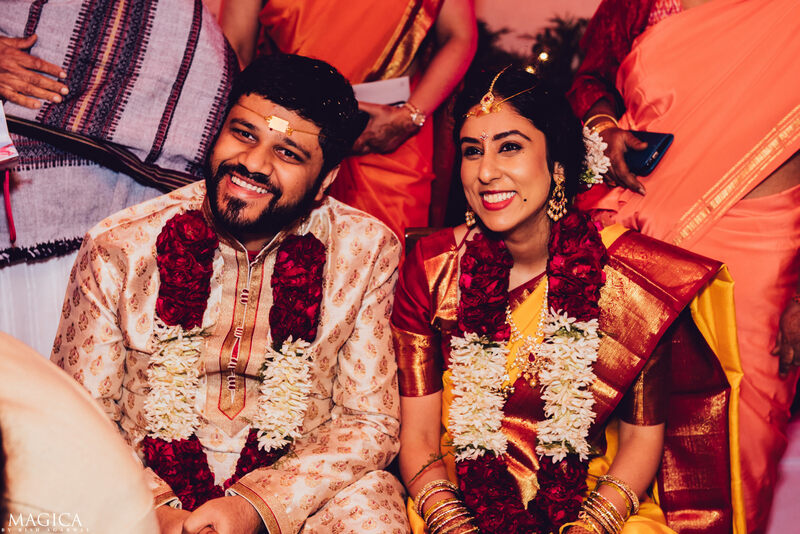 And with everything else said and done, it was time everyone has been waiting for! 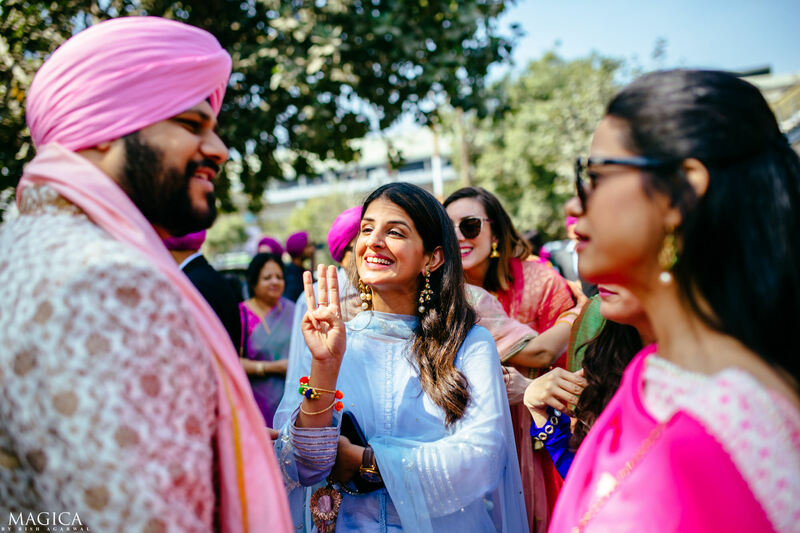 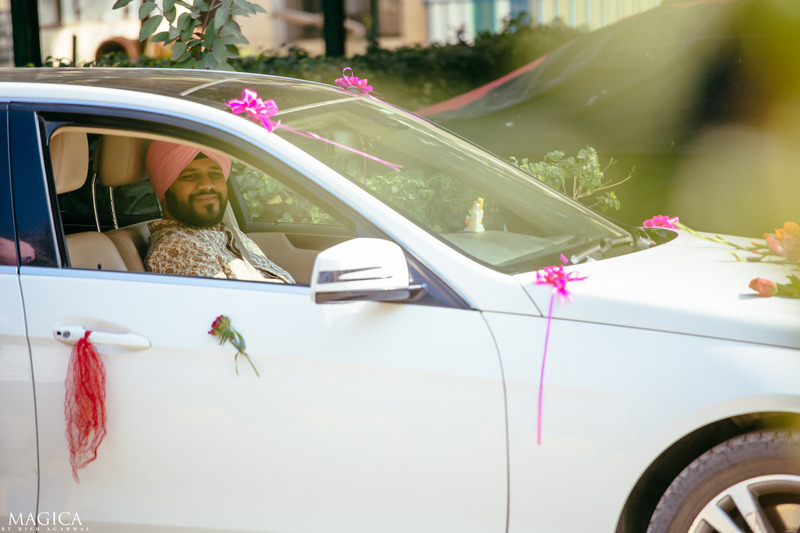 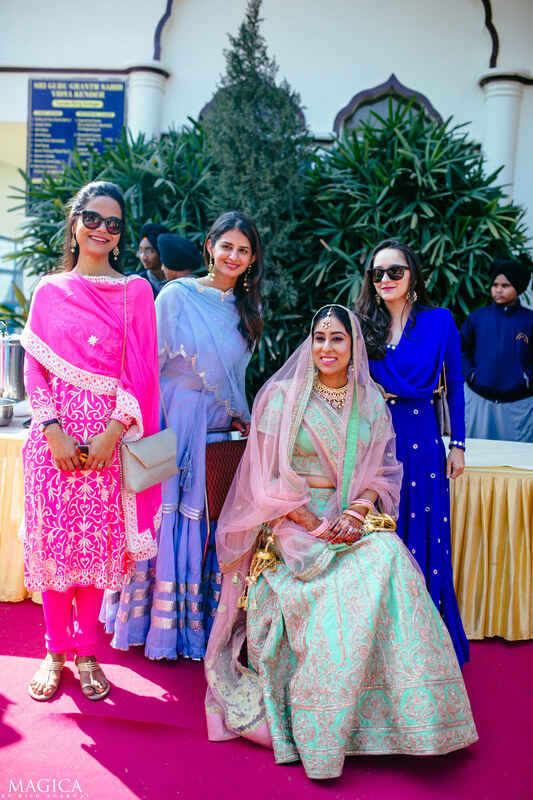 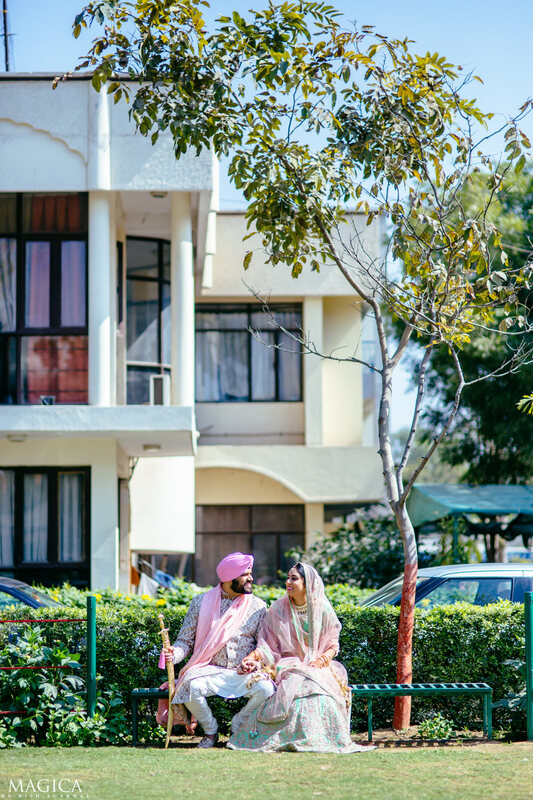 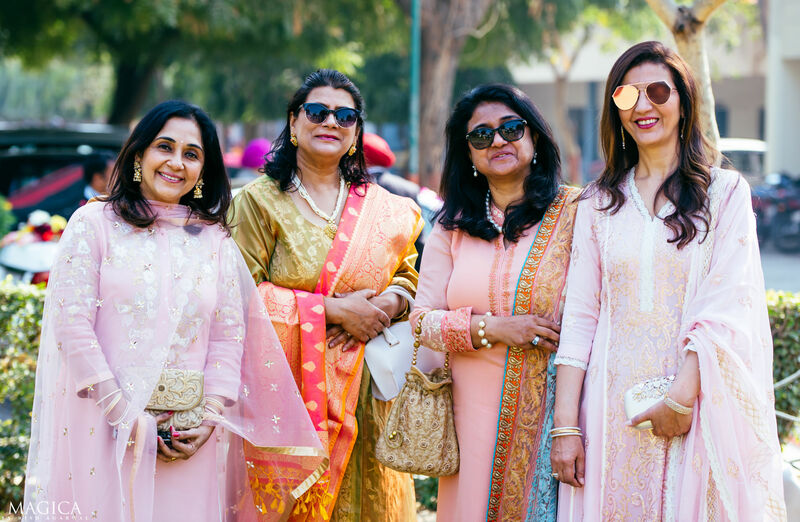 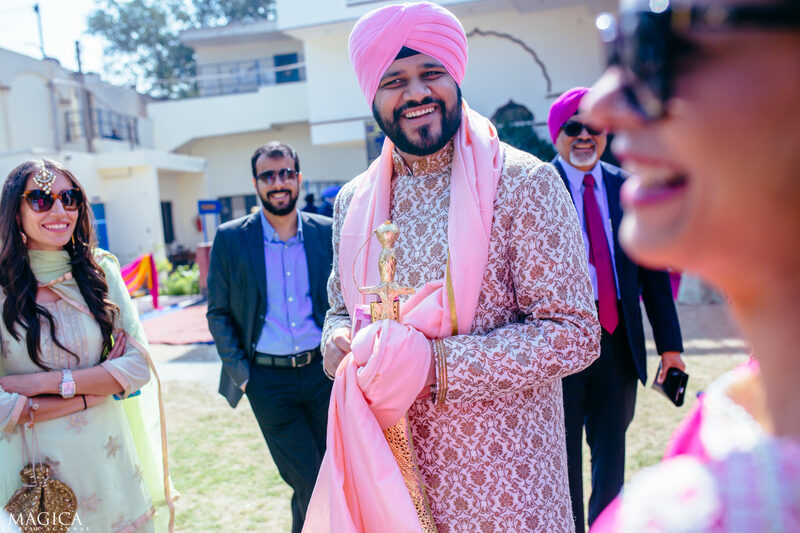 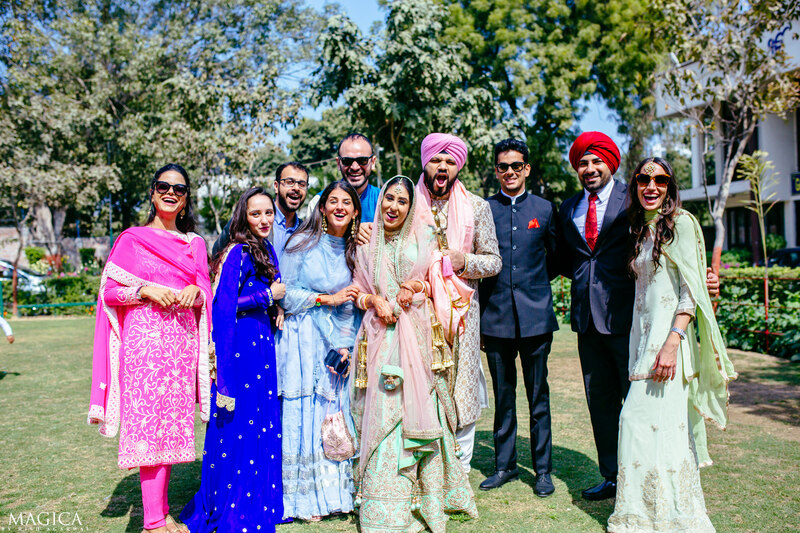 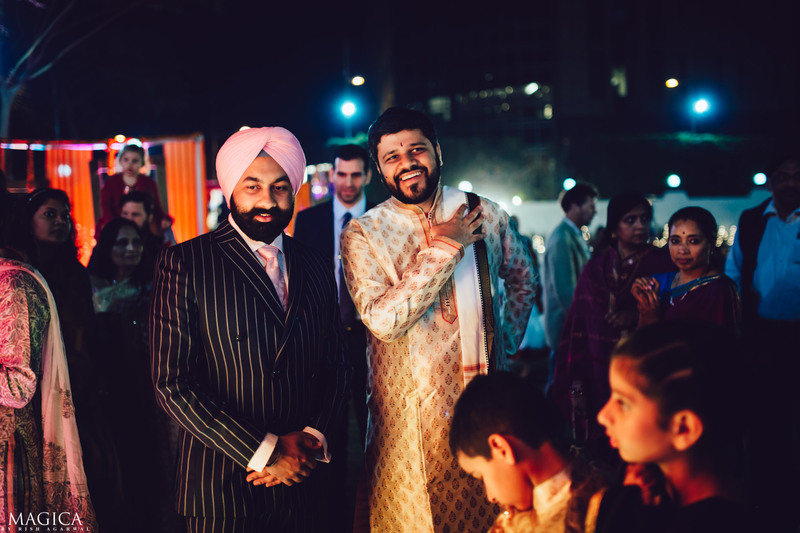 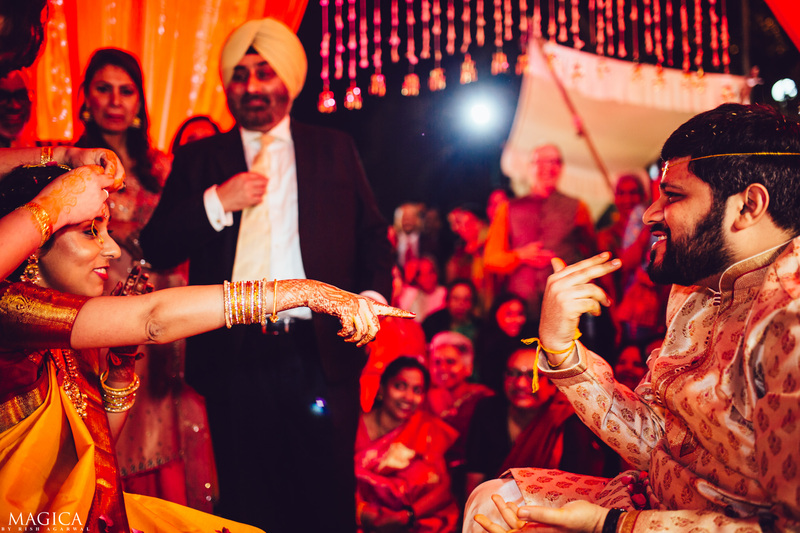 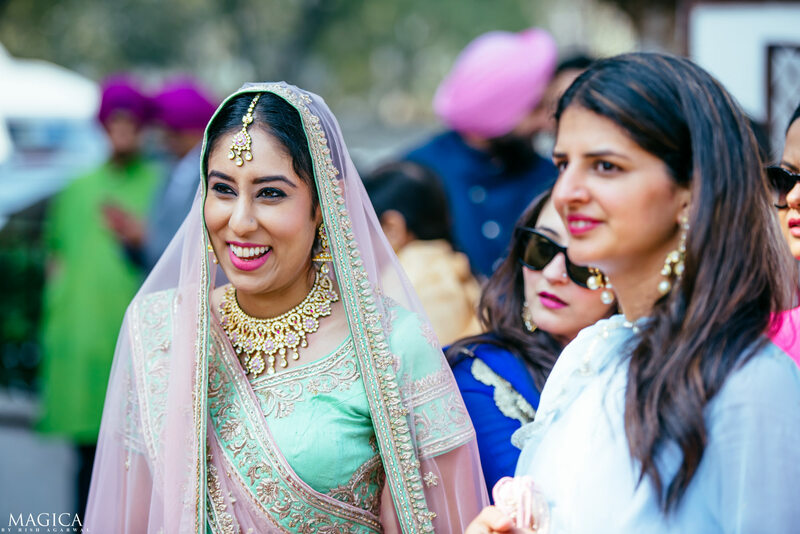 When two best friends get married, fun is never out of the picture and we made sure the photos captured that essence! 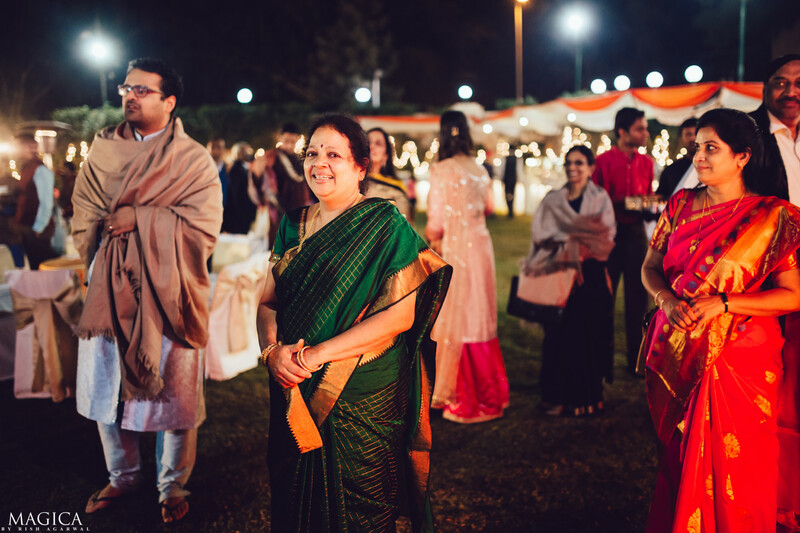 And with those smiles around and last few family pictures, we decided to call it a day! 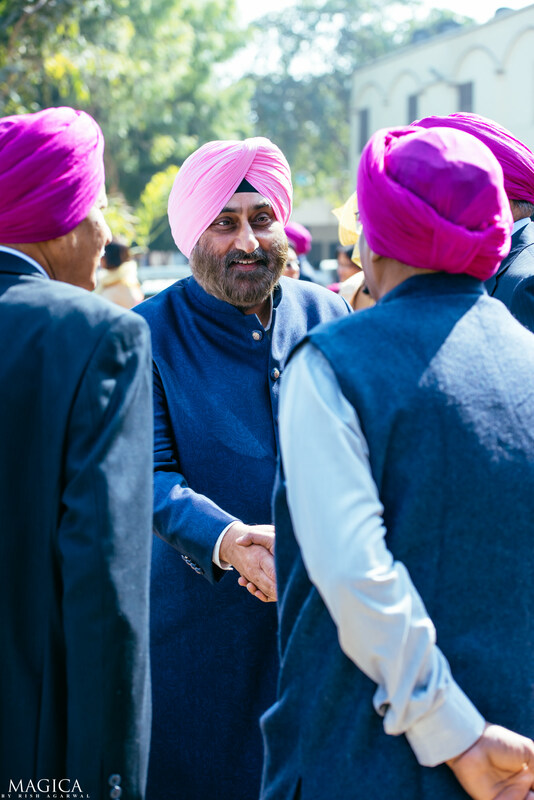 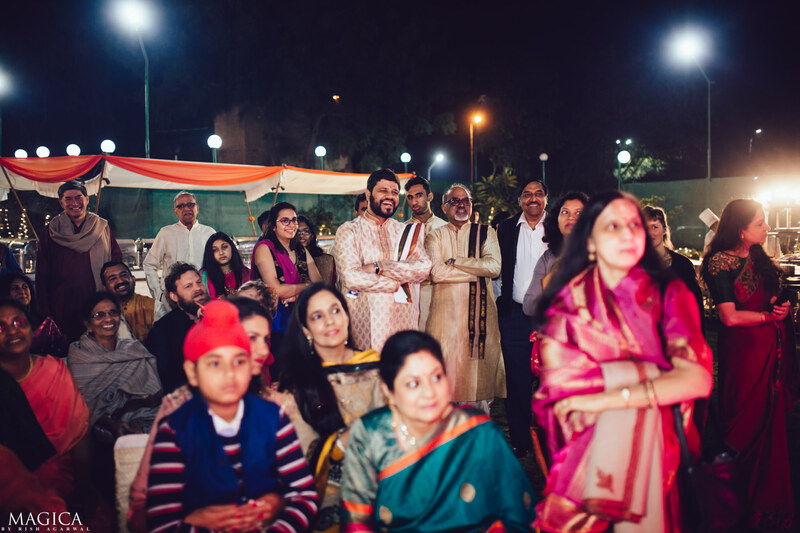 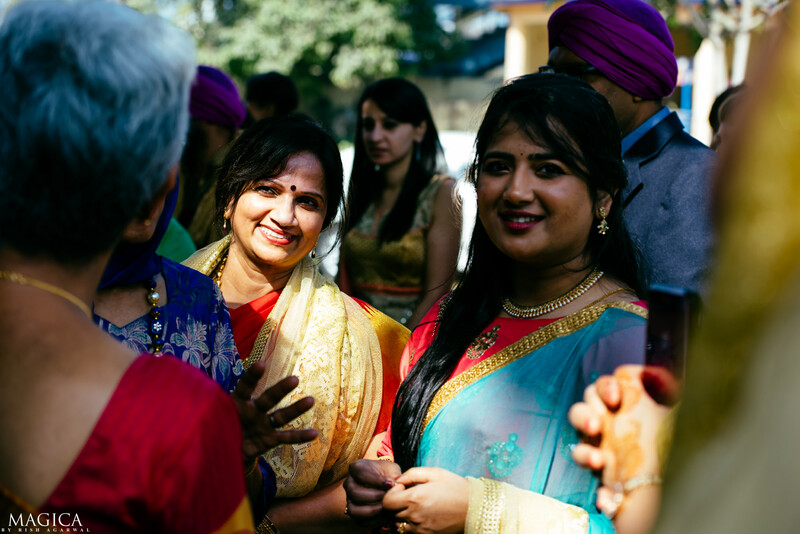 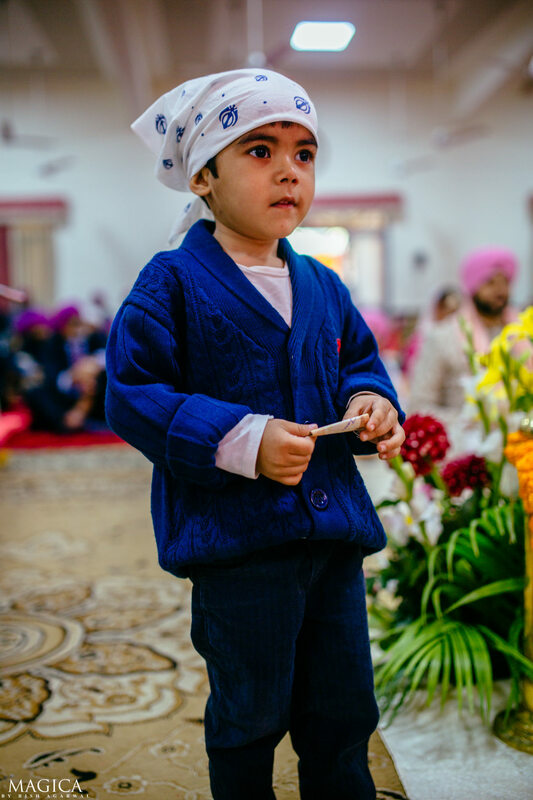 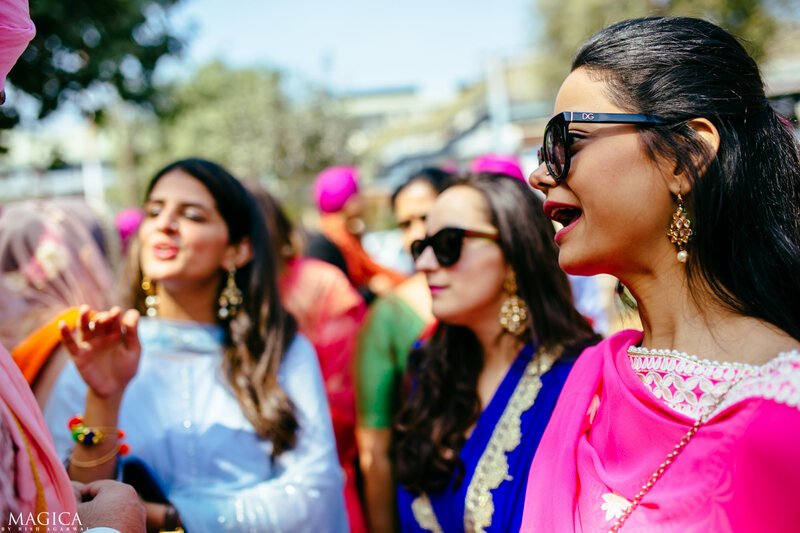 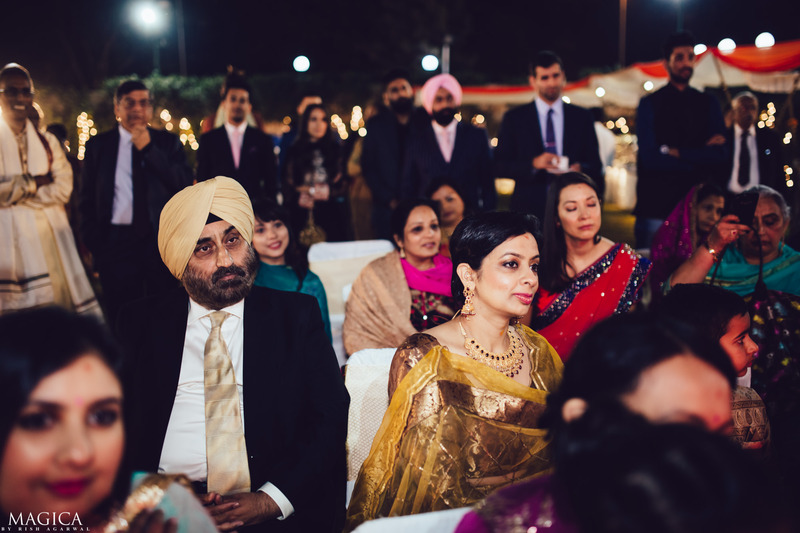 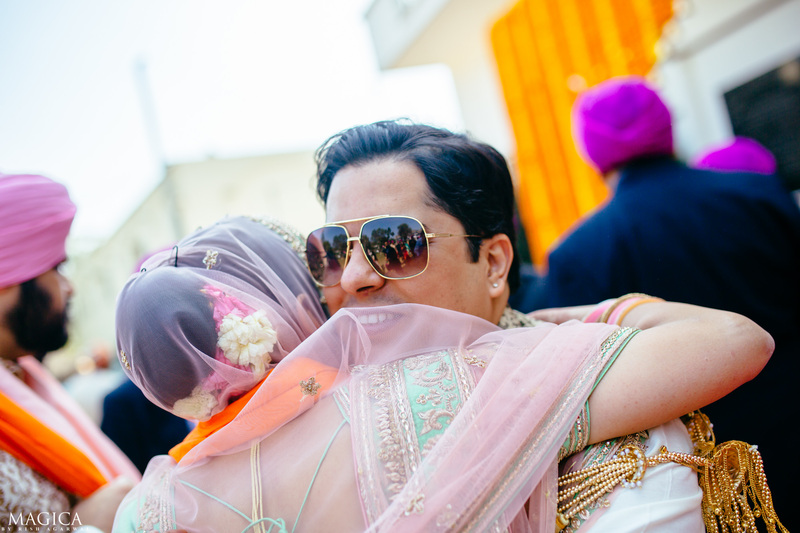 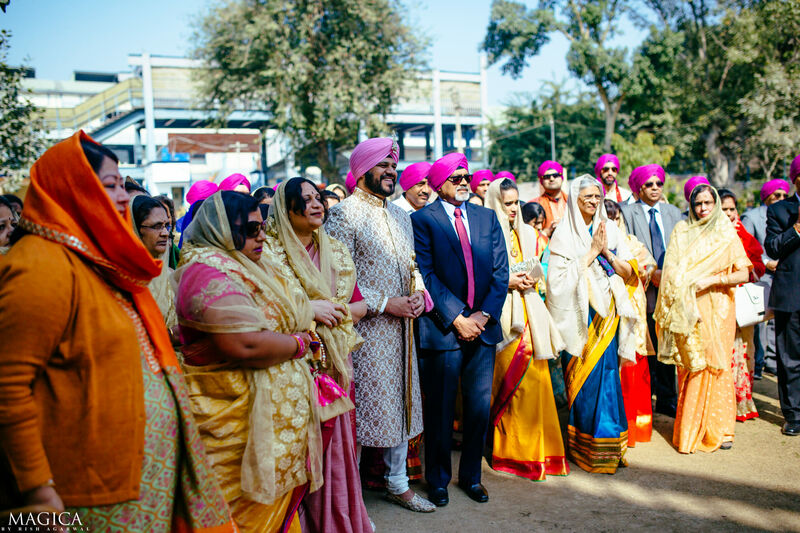 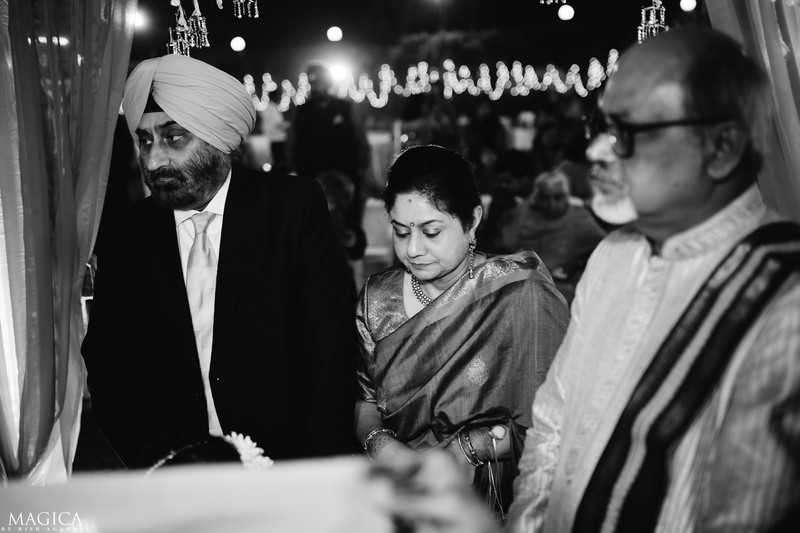 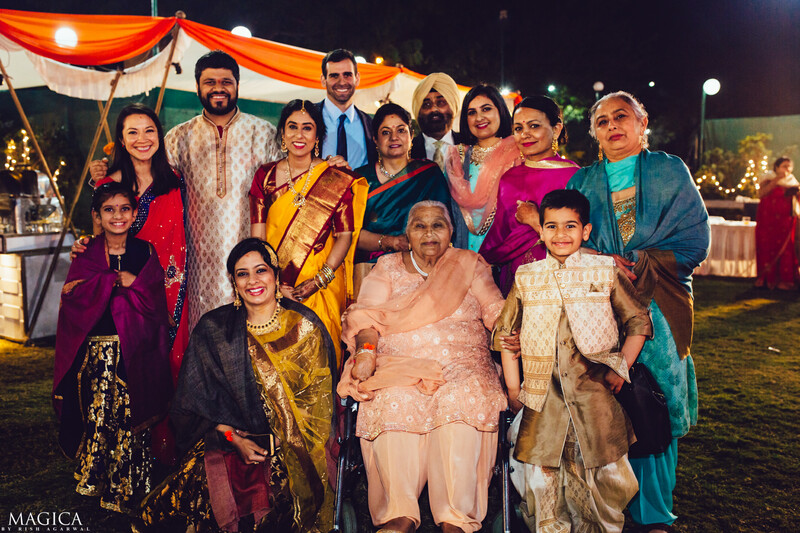 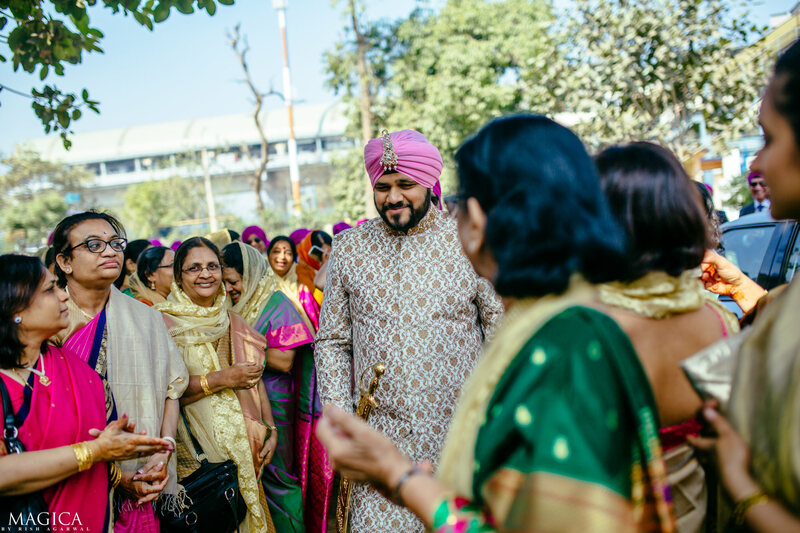 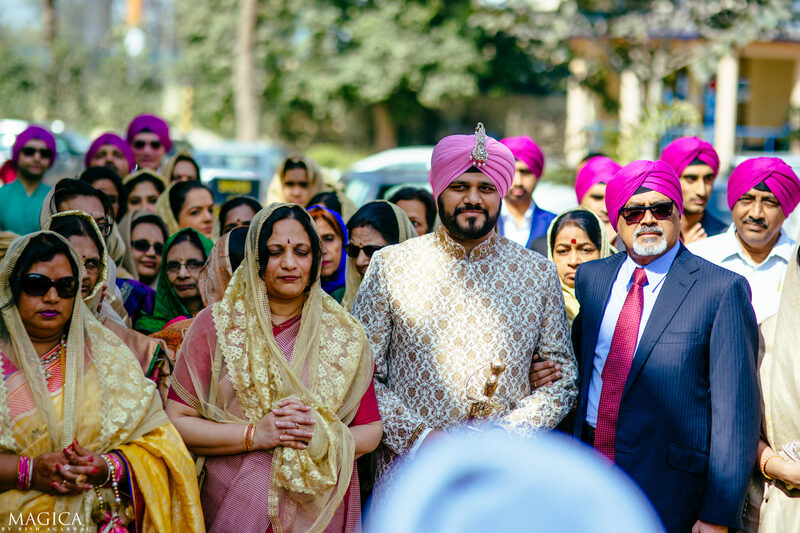 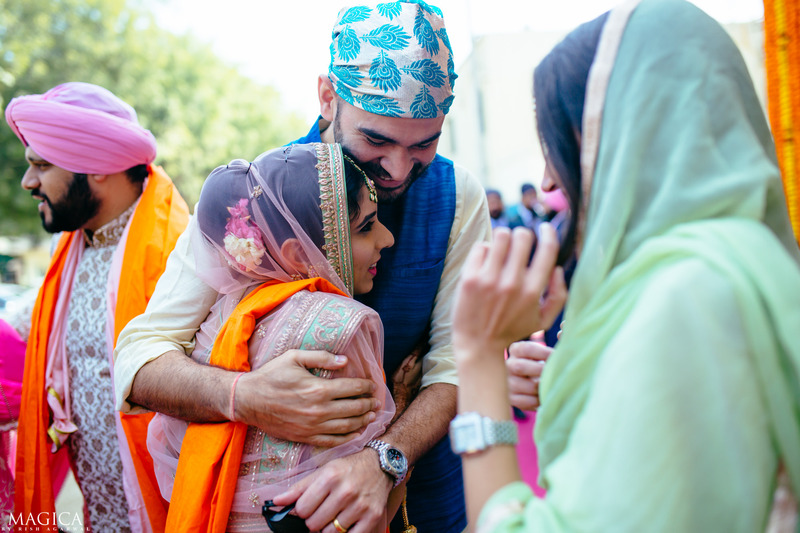 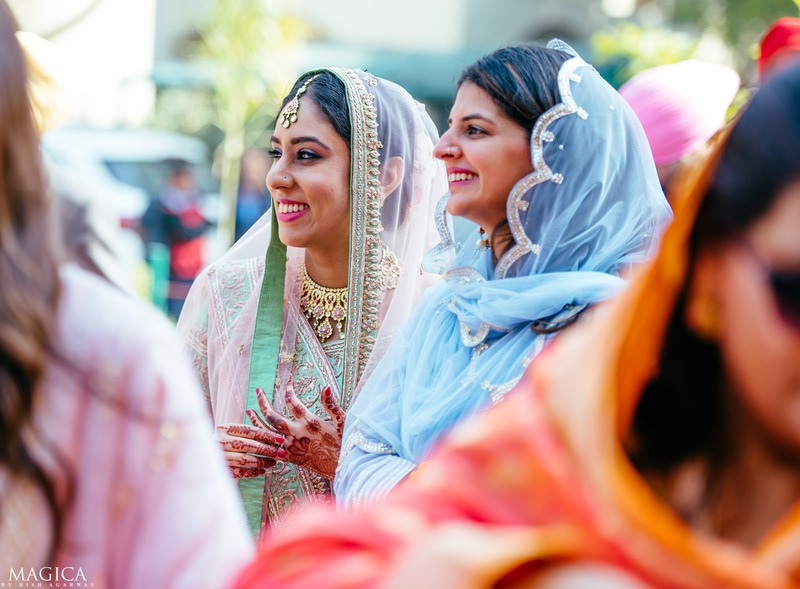 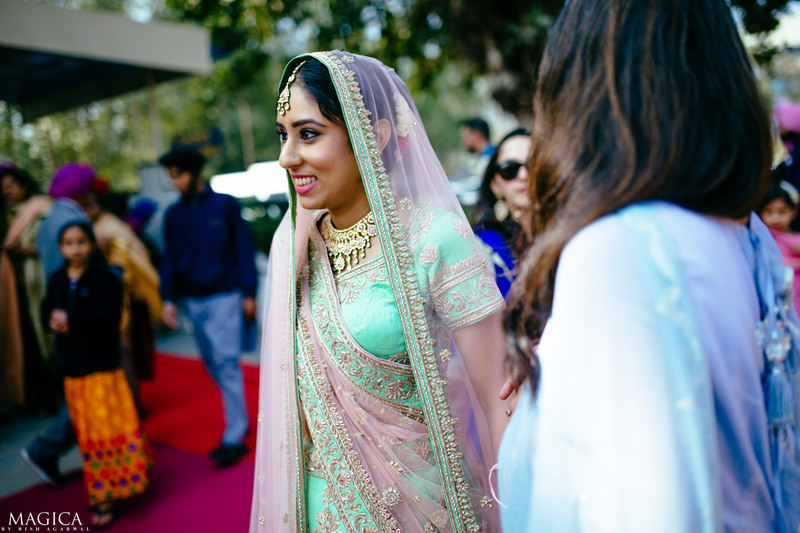 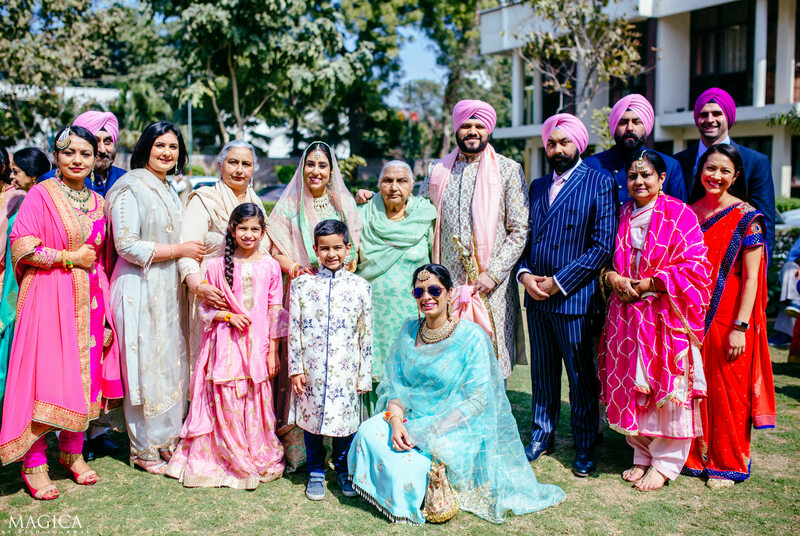 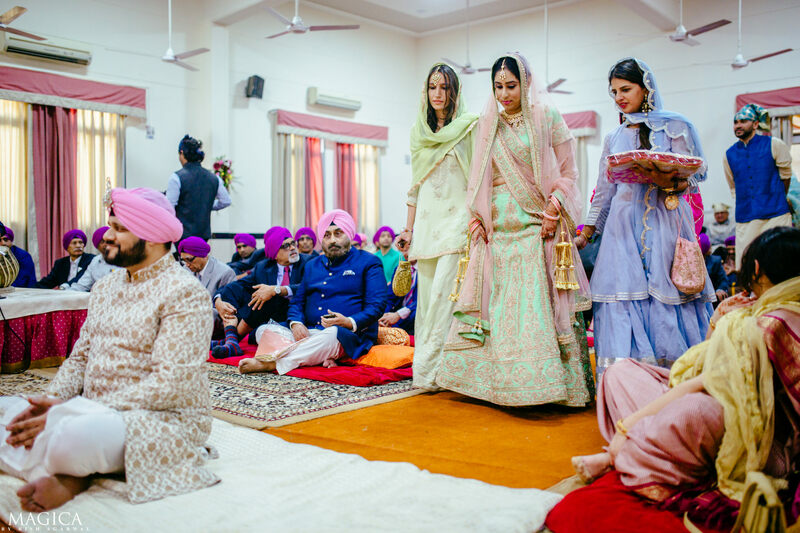 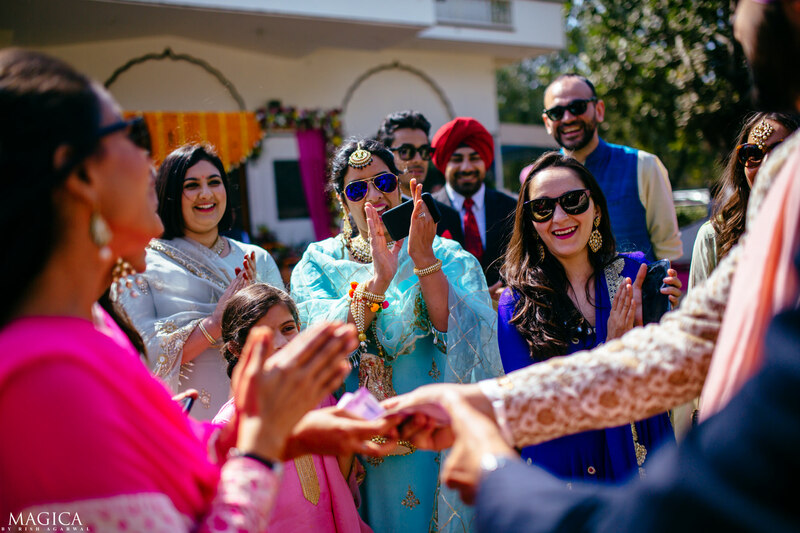 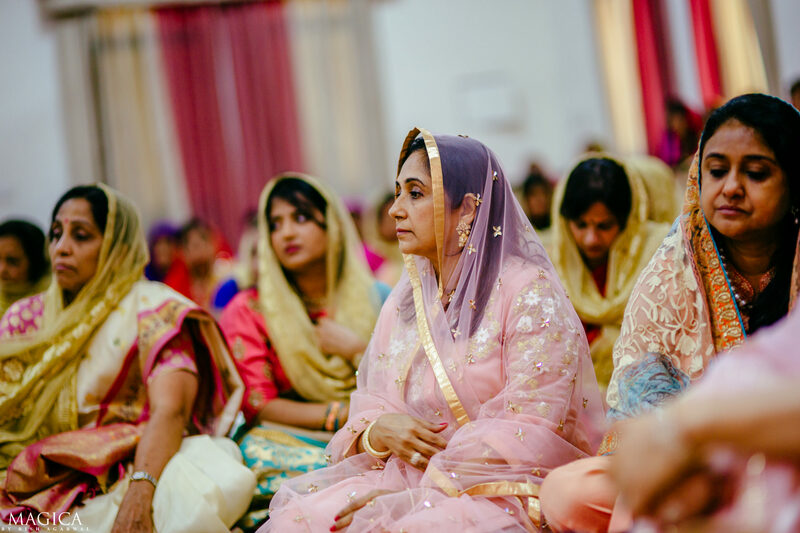 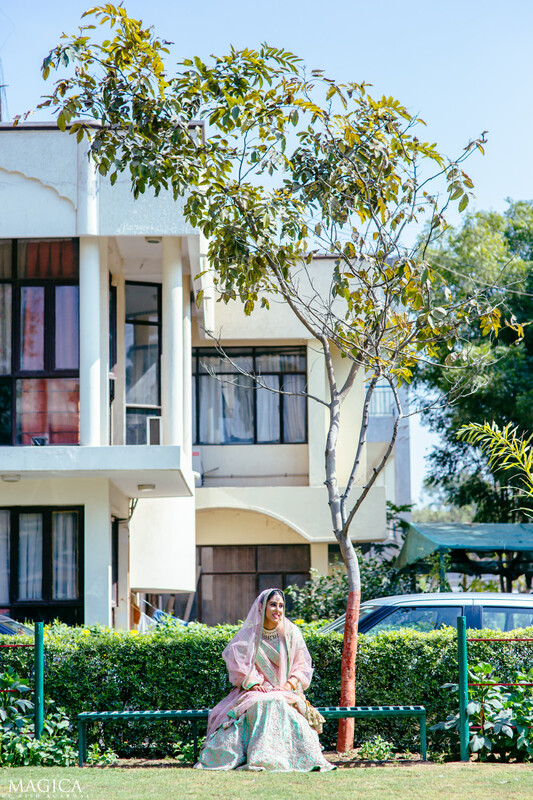 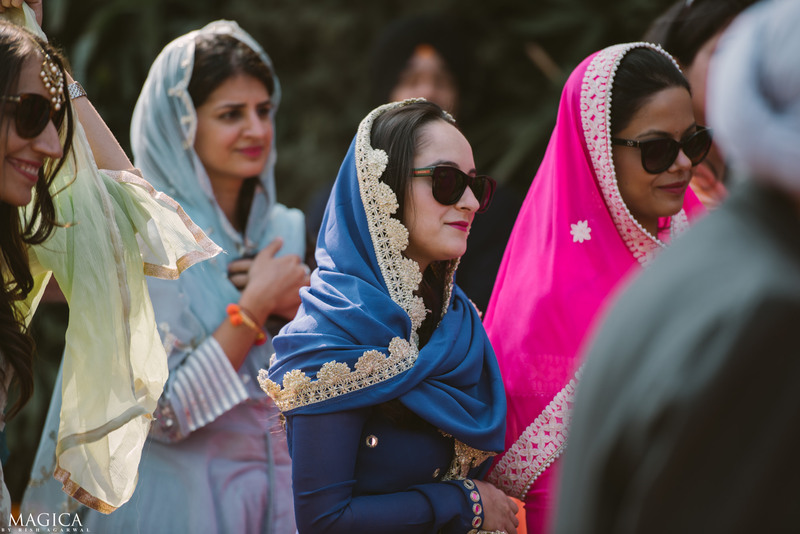 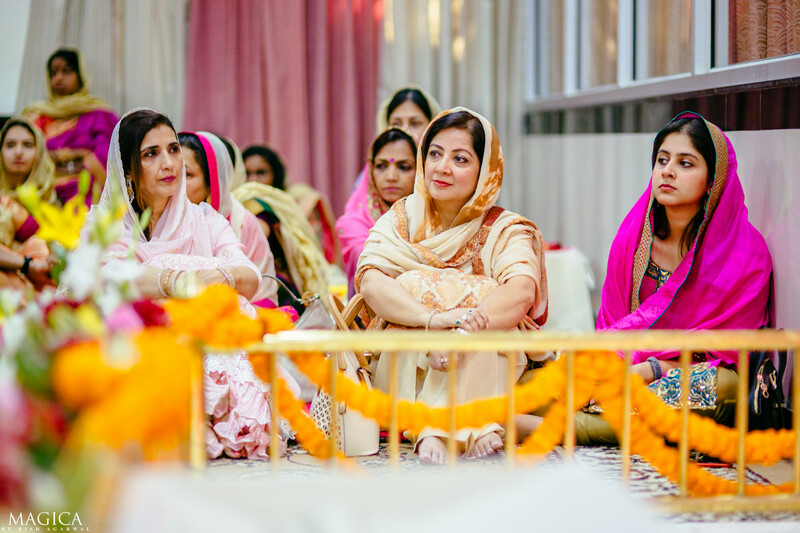 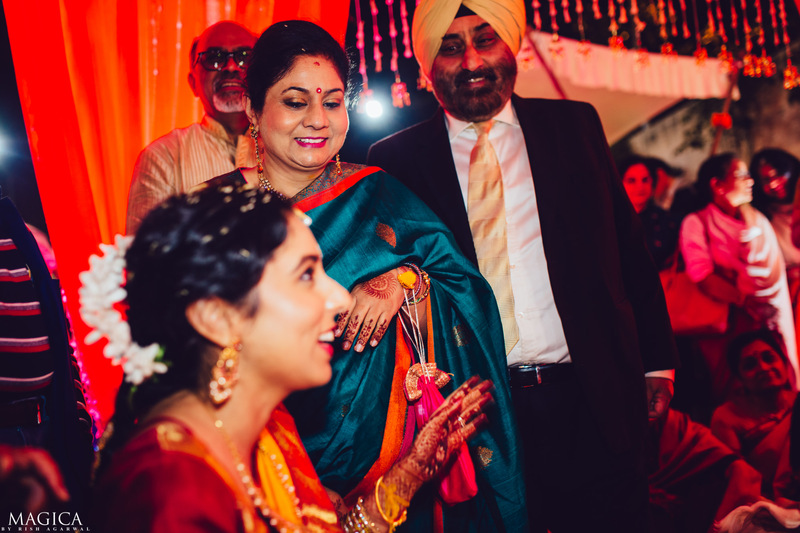 What a fun two days for me, capturing all the emotions, families, fun, culture and rituals. 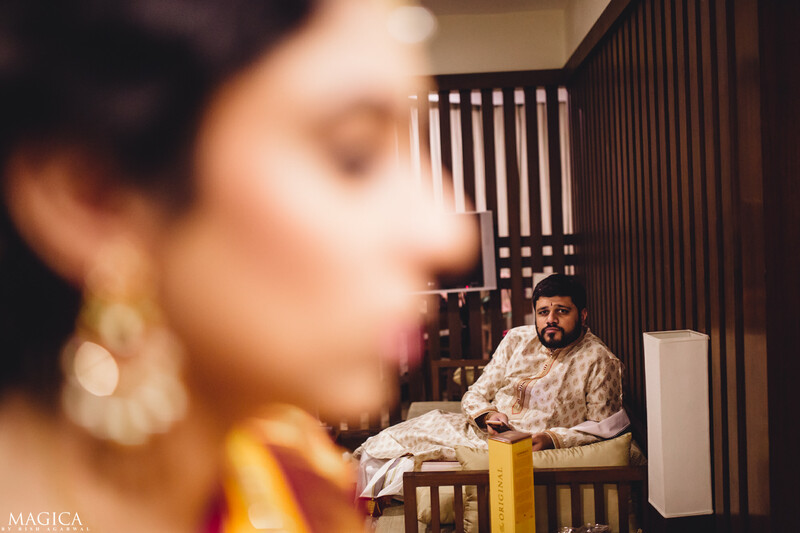 We photograph weddings with absolute honesty & truth. 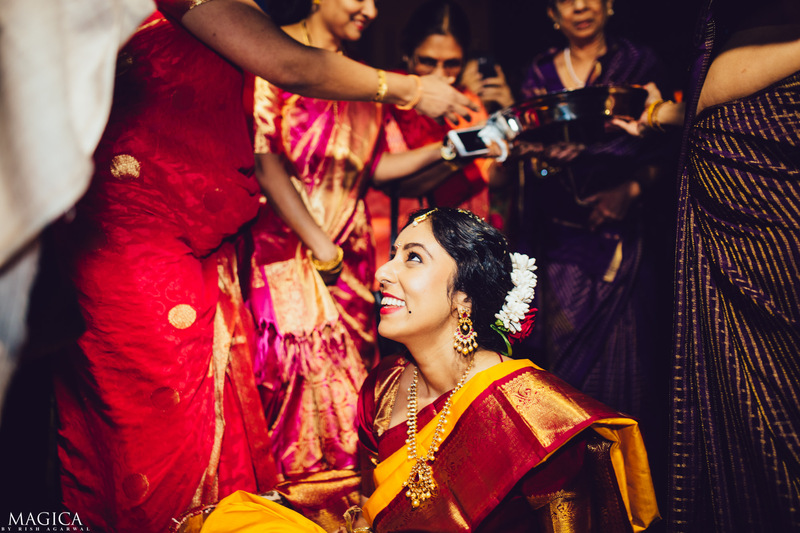 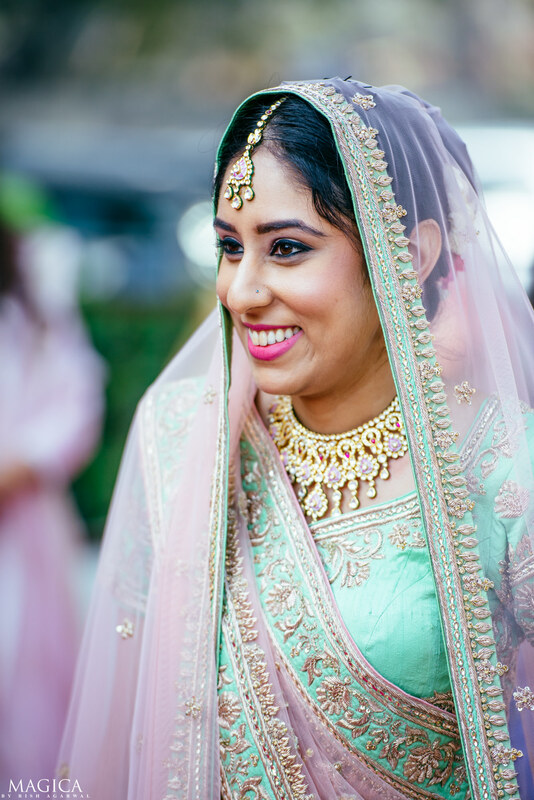 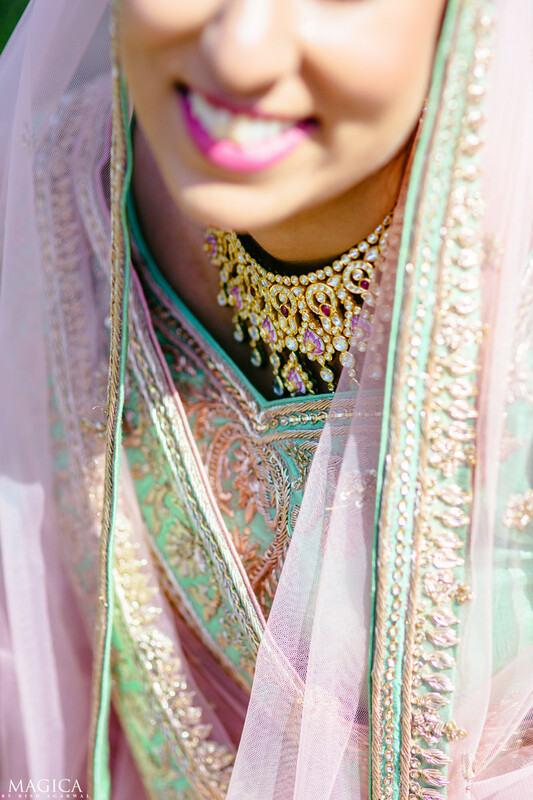 We want your wedding photos to not just look pretty, but tell the world about your story. 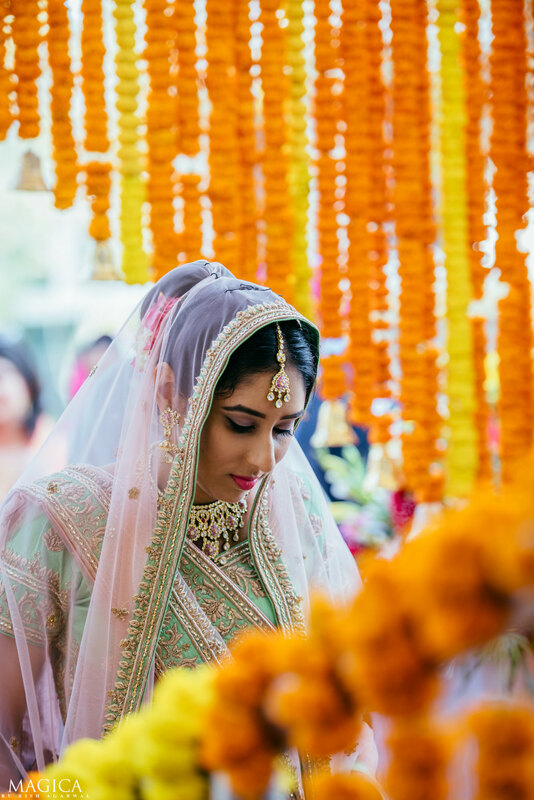 Tell us all about your wedding hopes & dreams.